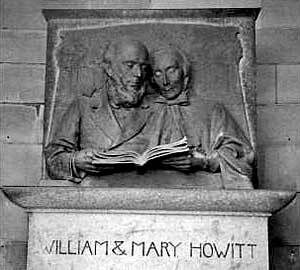 Inside the colonnade you can see a portrait sculpture of the great Mary Howitt with her husband William. 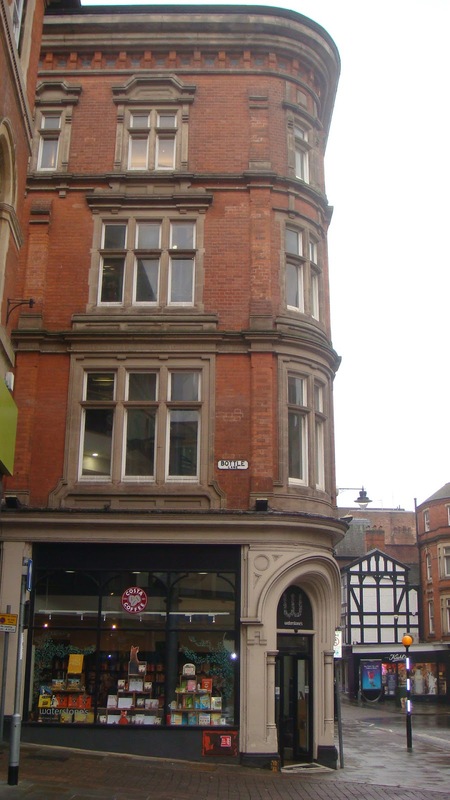 At the top of Castle Gate is the Severns’ Building, a medieval dwelling that was re-erected on this site in 1968, and later became the Nottingham Lace Building. 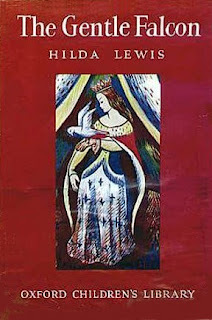 Hilda Lewis (1896-1974) started writing her historical and children’s fiction when she moved to Nottingham in the 1920s. 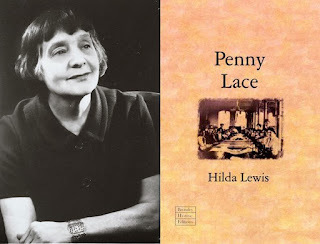 Her novel Penny Lace (1957), authentically featuring the city's Victorian lace industry, was reprinted with a Bromley House edition from Five Leaves Publications (2011). 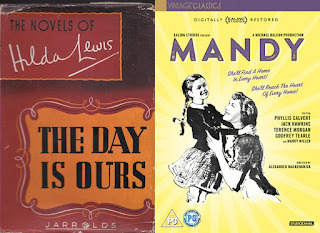 Lewis’s novel The Day is Ours (1946), about a young deaf girl, was the basis of the film Mandy. 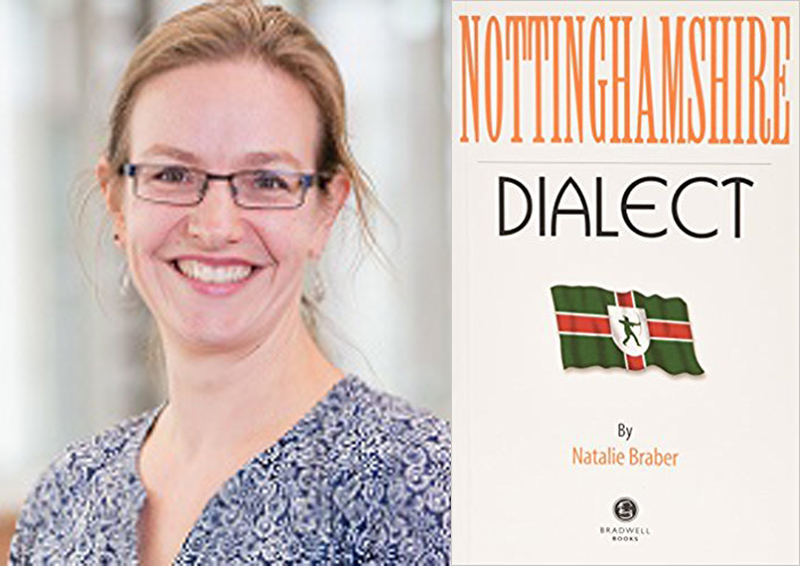 The book was inspired by the work of her husband, Professor M. Michael Lewis, who was a specialist in the education of the deaf at Nottingham University. Ann Gilbert (1782-1866) once lived in this house. A literary critic, Gilbert also wrote poetry and hymns. Hymns for Infant Minds (1805) was an early collection of poems and songs written especially for children. Her younger sister and collaborator, Jane Taylor, wrote the words to Twinkle, Twinkle, Little Star. 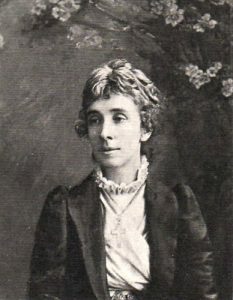 Annie Matheson (1853–1924) also lived on Castle Gate. 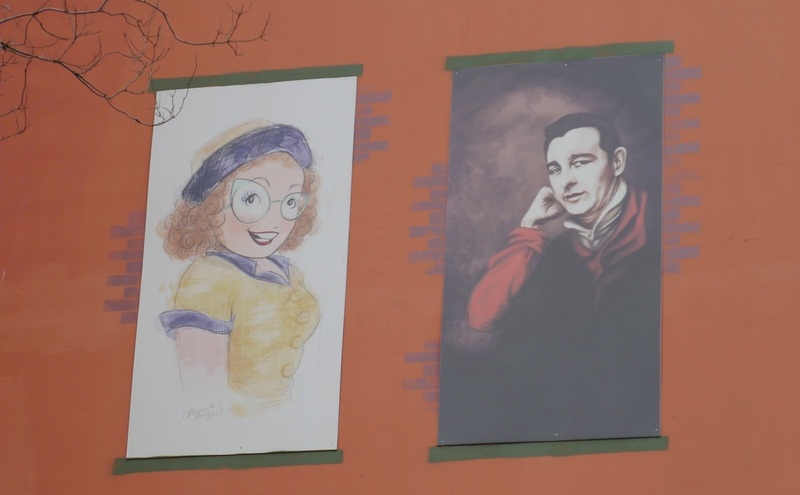 Matheson was a poet of the British Victorian era who argued for the rights of working-class women to education. 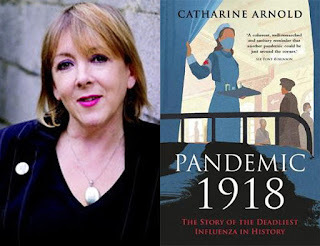 Her books included the collection The Religion of Humanity and other Poems (1890) and one of the first biographies of Florence Nightingale (1913). 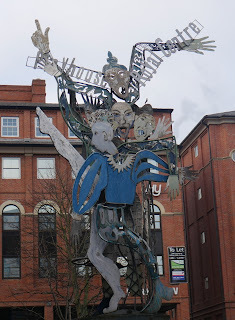 Lucy Joynes (1782-1851) was a poet who described a changing Nottingham. At one time she lived and taught on Castle Gate (near the independent chapel). Her father was a clerk for St Nicholas’ Church..
On the corner is St Nicholas’ Church where the feminist writer Caroline Dexter (1819-1884) was married. 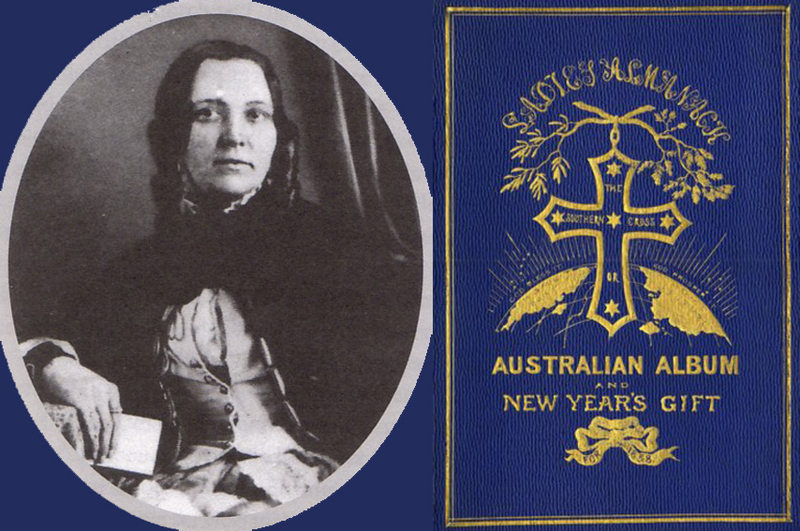 Dexter migrated to Australia where she wrote her Ladies’ Almanack: The Southern Cross or Australian Album and New Year’s Gift (1858). A street in Canberra is named in her honour. There’s a book about her and her husband entitled Folie A Deux: William and Caroline Dexter in Colonial Australia (1999). 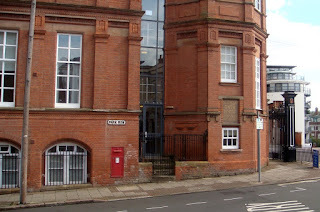 Towards the bottom, on the left, is the Castle Gate Congregational Centre. 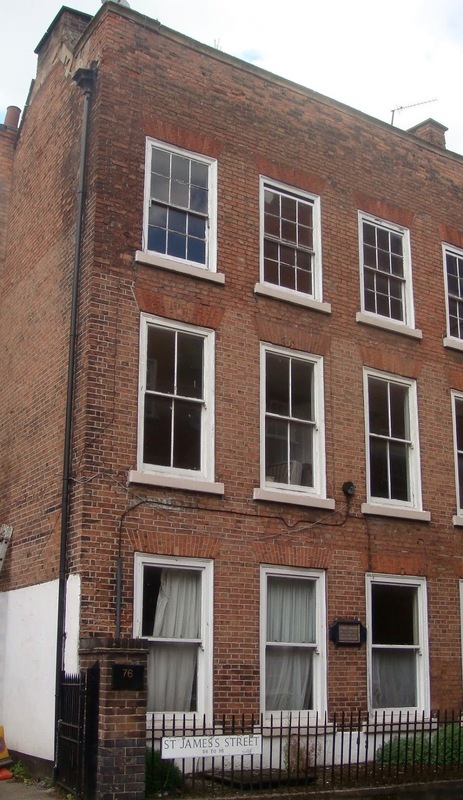 It was here that two lace workers, Matthew and Lucy, married. 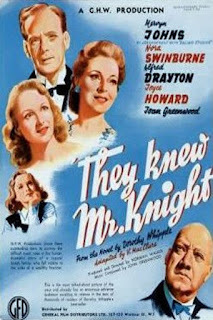 Their daughter, Alma Reville (1899-1982), an editor and scriptwriter, was born in Nottingham a few hours after her future husband and collaborator, Alfred Hitchcock, was born in Leytonstone. 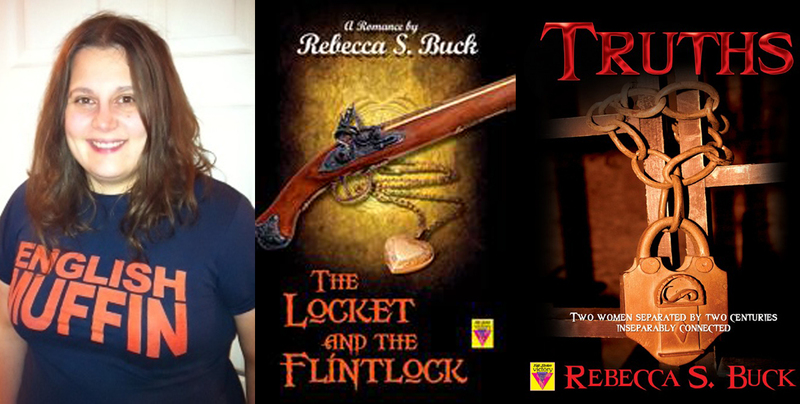 Reville was the only person to whom her husband would defer. She can even take credit for there being music during the famous shower scene in Psycho, as it was on her insistence that Hitchcock, who had wanted the scene played out in silence, changed his mind. Turn left and head up Albert Street. 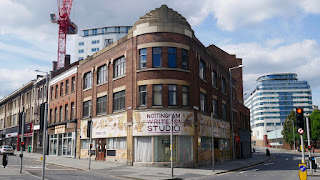 On the next corner (Hounds Gate/Albert Street) is the former studio of the renowned artist Evelyn Gibbs (1905-1991). 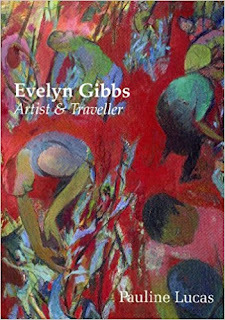 Gibbs taught at a school for handicapped children while writing an influential book on art entitled The Teaching of Art in Schools. The book was illustrated by her pupils. 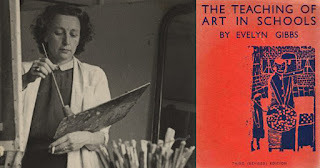 She moved to Nottingham during World War II where she created the Midlands Group of Artists. Gibbs also illustrated several of Hilda Lewis’s books. Look up Hounds Gate. 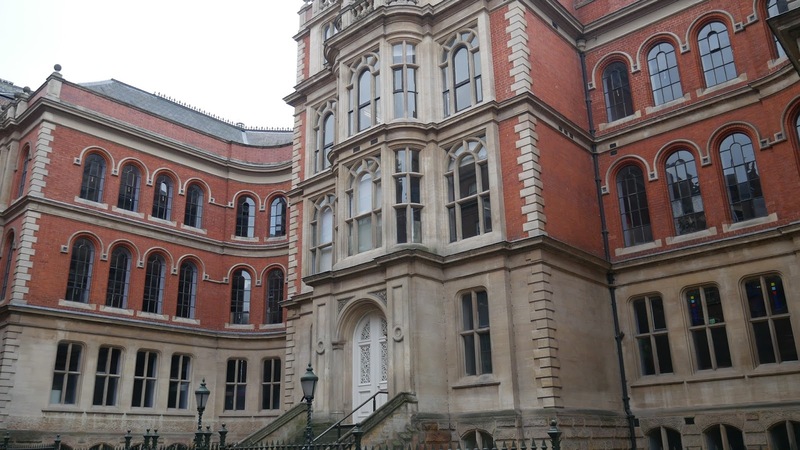 About half way up, on the right-hand side, was the site of the Library for Females. To the right is Wheeler Gate. 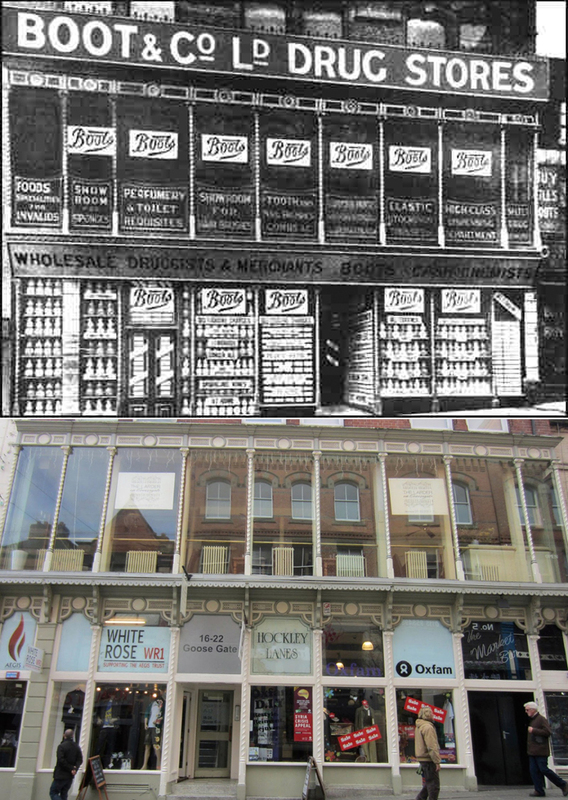 About half way-up on the right-hand side, where Sainsbury’s Express now sits, was the home of a large bookshop (Sisson and Parker's, then Hudson’s, then Dillons, then Waterstone’s). It was on Wheeler Gate in 1987 that Pushing On, a large-scale street performance for women, toddlers and wheelchair users was performed. This early 'flash mob' was created by the theatre-maker, actor and writer Tanya Myers. 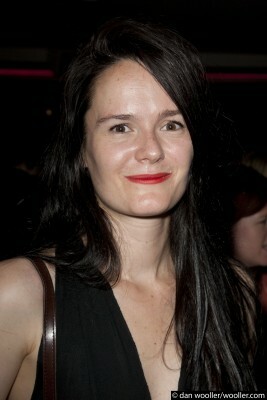 Myers is a co-founder and co-artistic director of Meeting Ground Theatre in Nottingham. 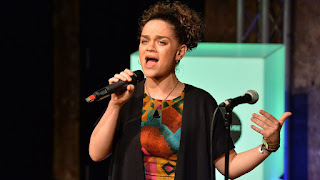 Her daughter Lily Lowe-Myers is an actress, singer and playwright who has performed at The Nottingham Poetry Festival and at Nottingham Lakeside. Across from here is St Peter’s Church. Anne Ayscough and her husband William are buried here. Together with John Collyer they became Nottingham’s first printers in 1710. 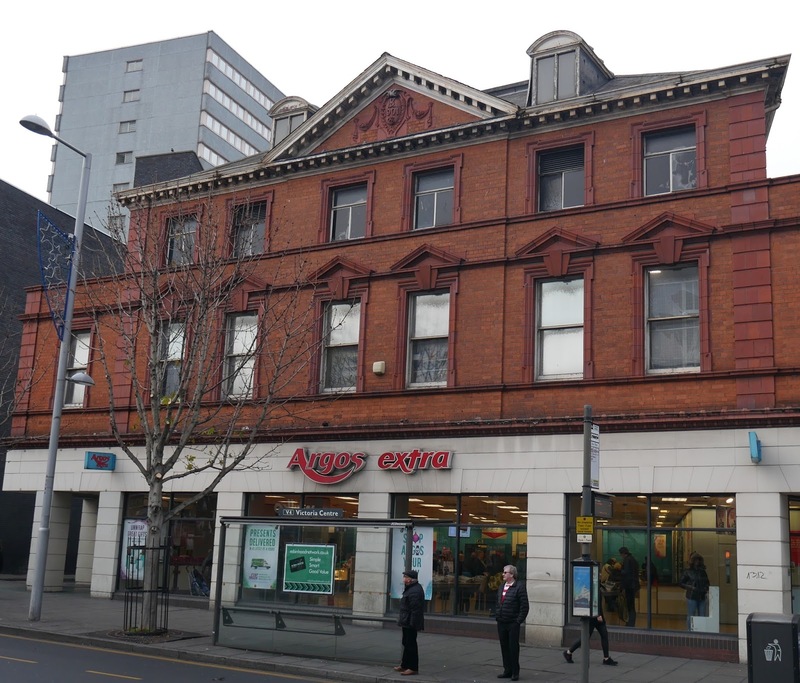 A few years later the Ayscoughs and Collyer held rival businesses. The Ayscough’s producing the Nottingham Weekly Courant whilst Collyer printed the Nottingham Post. 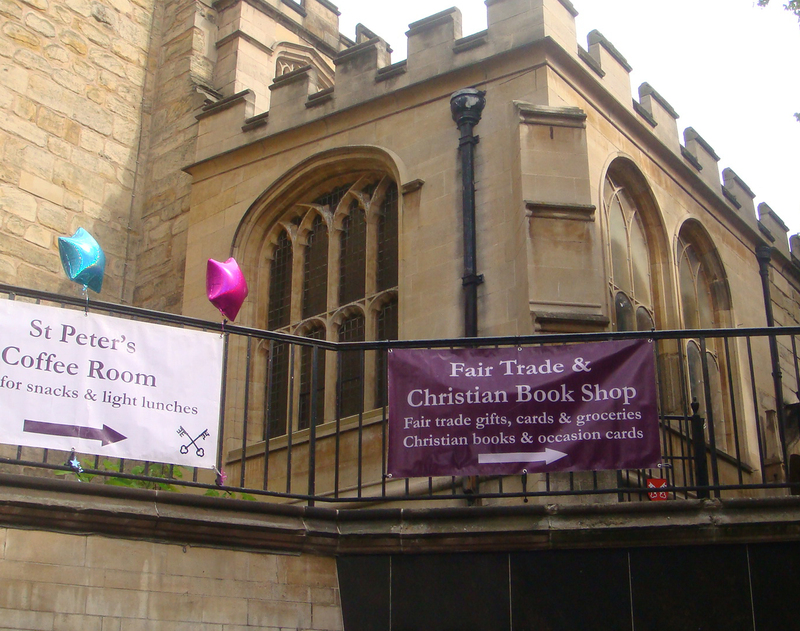 And here lies a small Christian bookshop. Turn right at Bridlesmith Gate, at one time the place to come for typewriters. 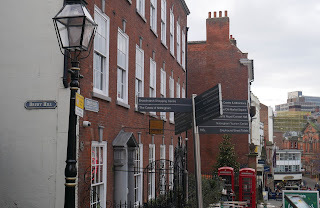 It’s about here, between St Peter’s Gate and Pepper Street, that the Ayscoughs established their printing press. 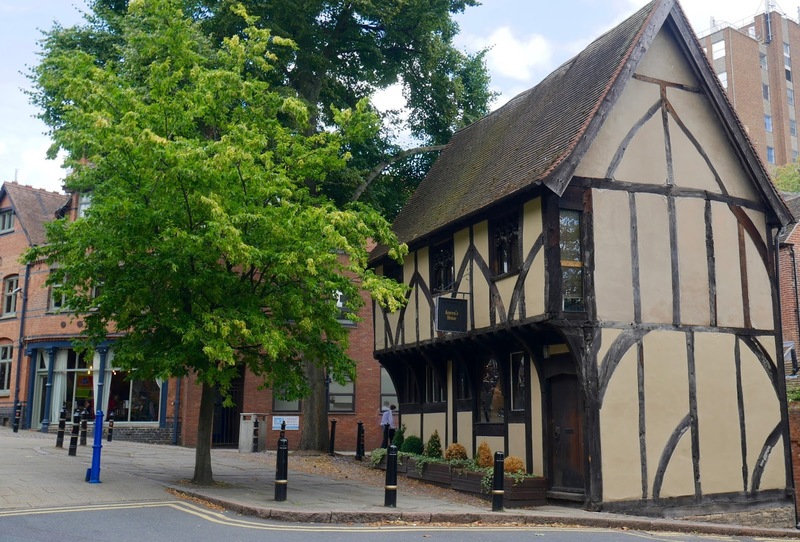 The oldest known work printed in Nottingham was produced here in 1714, Sir Thomas Parkyn’s Inn-Play, all about wrestling. In 1717 the Ayscoughs printed Grammatical Commentaries by R. Johnson, Headmaster of Nottingham’s Free School. At the end of Bridlesmith Gate is Low Pavement. 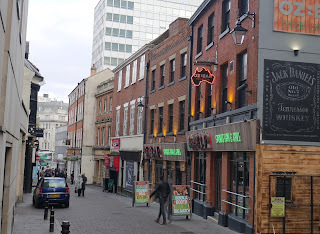 From here you can see Jamie’s Italian Restaurant. 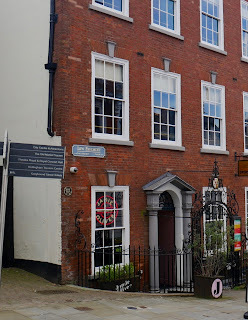 This is the former residence of Abigail Gawthern (1757-1822). 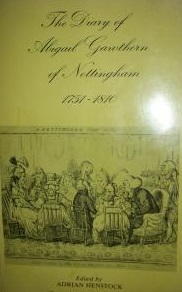 Gawthern’s diaries were copied into one important volume, documenting how Nottingham's professional classes lived between 1751 to 1810, a time of much conflict. On this street was a ‘Ladies Assembly’, run by women but open to both genders, just not the working class. Gawthern died in this house. In 1798, Lord Byron and two Miss Parkyns spent the day here. On the left exterior wall of this building is a sign for Drury Hill. Drury Hill was obliterated to make way for the Broadmarsh shopping centre. Next time you head down the escalator spare a thought for the narrow old street which featured in the film of D H Lawrence’s Sons and Lovers. 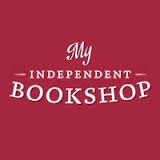 There used to be an independent bookshop on Drury Hill, called Bux, described as ‘the thinking sixth-former's alternative to Sisson and Parker's’. 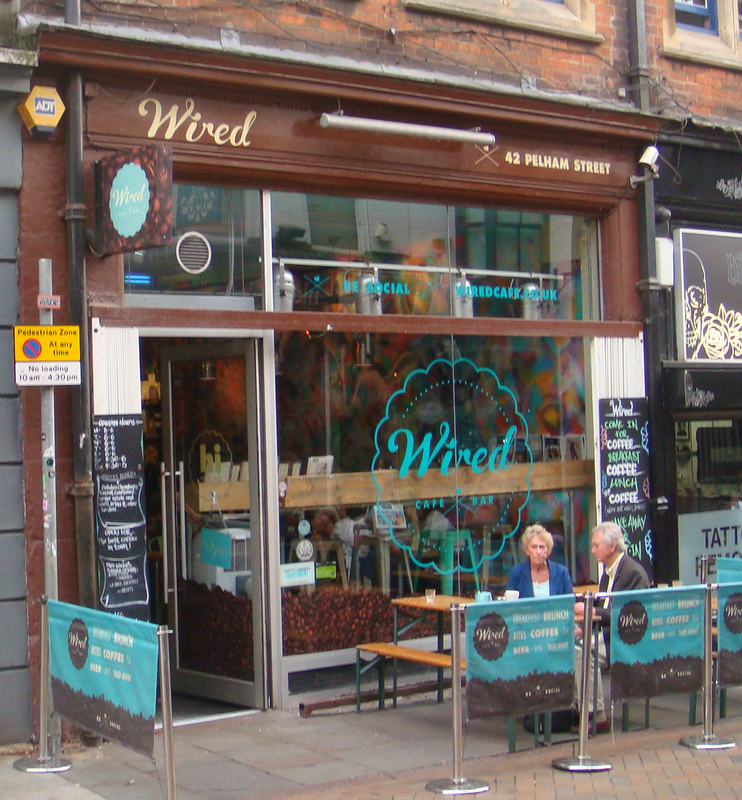 The shop had to move to Lincoln Street. Head up Low Pavement and cross over at Weekday Cross (formerly Blow Bladder Street) where Nottingham Contemporary awaits. 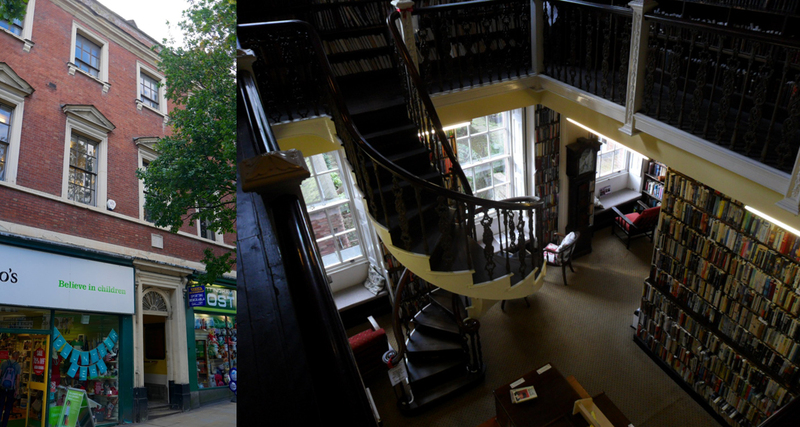 The international art centre has a healthy book section and hosts many literary and spoken word events. 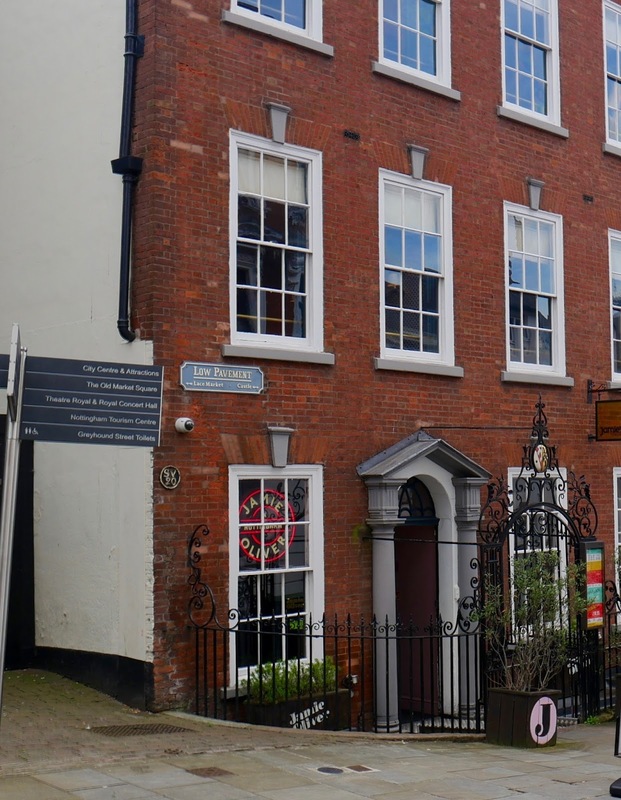 Ruth Bryan is said to have lived and died here, in a cottage between the (now) Pitcher and Piano and the (now) National Justice Museum. Bryan came to Nottingham after her father became a minister here. 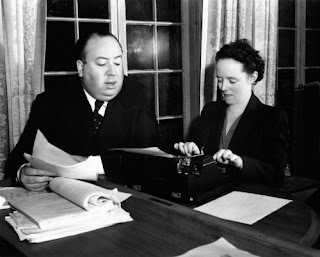 She began writing a diary aged seventeen, and continued writing regular entries all her life. 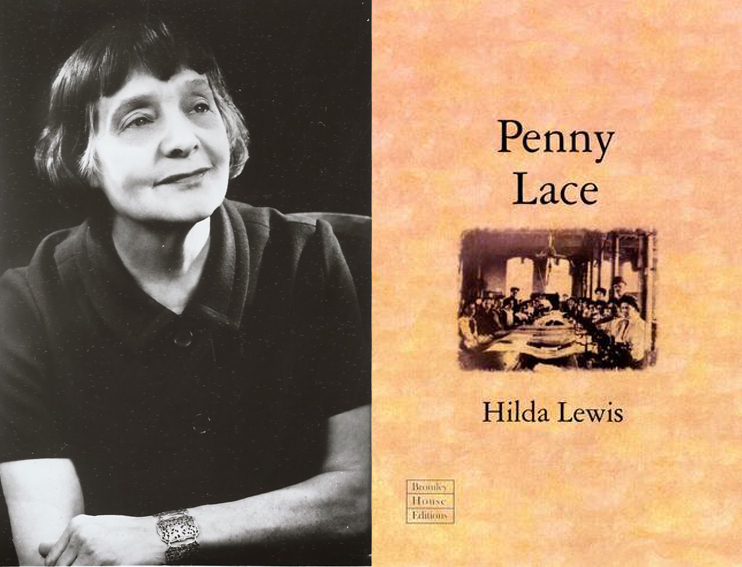 Her diary and letters record a spiritual life of hardship from which she offers advice. Continue along High Pavement. 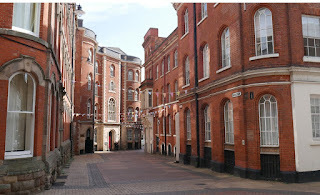 On the right is the National Justice Museum, home of Nottingham’s historic Courthouse and Jail. It was on the steps that a Luddite became the first person to be hanged here, after being found guilty of the attempted murder of his employer. 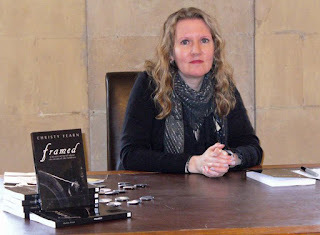 Christy Fearn's novel Framed tells the story of the Nottingham Luddites. 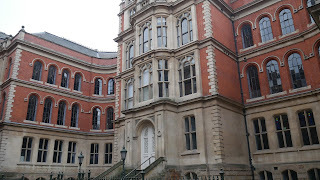 The Courtroom here saw the trial of Joan Phillips, a notorious local highwaywoman. This inspired Rebecca S. Buck's novel The Locket and the Flintlock; whilst her book Truths contains two narratives, both of which are set in fictional versions of the historic Shire Hall and County Gaol. 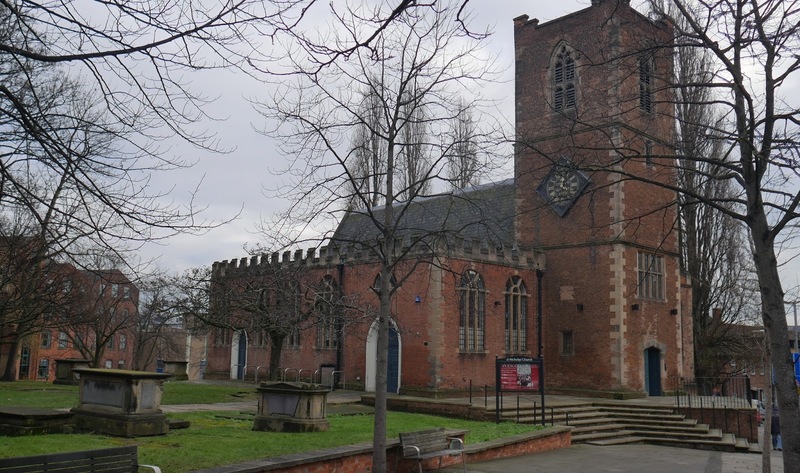 Next up is St Mary’s Church, a grand medieval building. 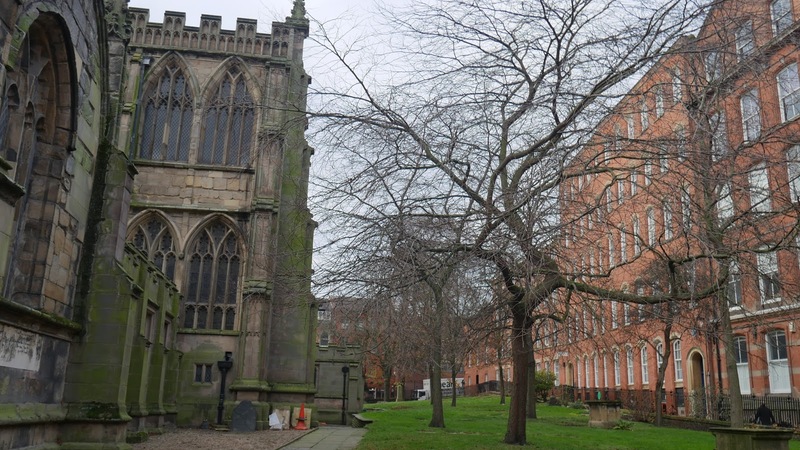 Dame Agnes Mellers established a Free School here in the parish of St Mary’s in 1513, partly as an act of atonement for her husband’s wrongdoings against the people of Nottingham. King Henry VIII sealed the foundation. 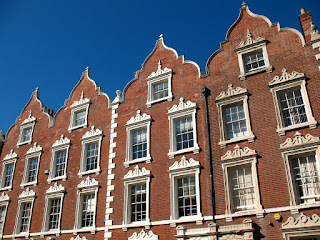 The school later became the Nottingham Boys’ High School. 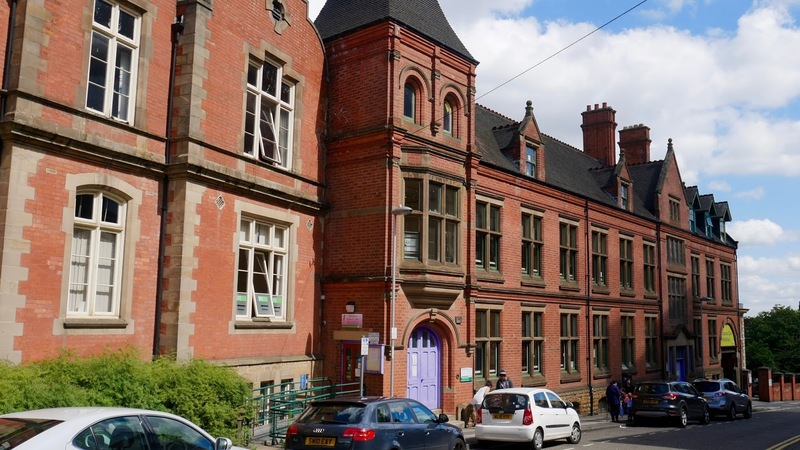 After more than 500 years of teaching boys, the Nottingham High School is now a co-educational institution. 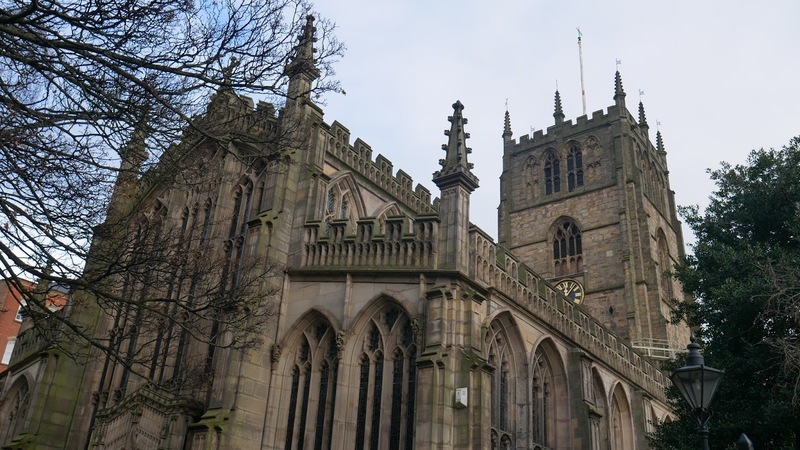 Lucy Joynes was baptised here; Jane Jerram was married here, and Abigail Gawthern is buried here. 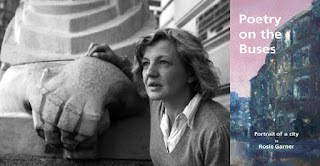 Born in Radford, Jane Jerram wrote The Child’s Own Story Book (1837) as well as other books and poetry. 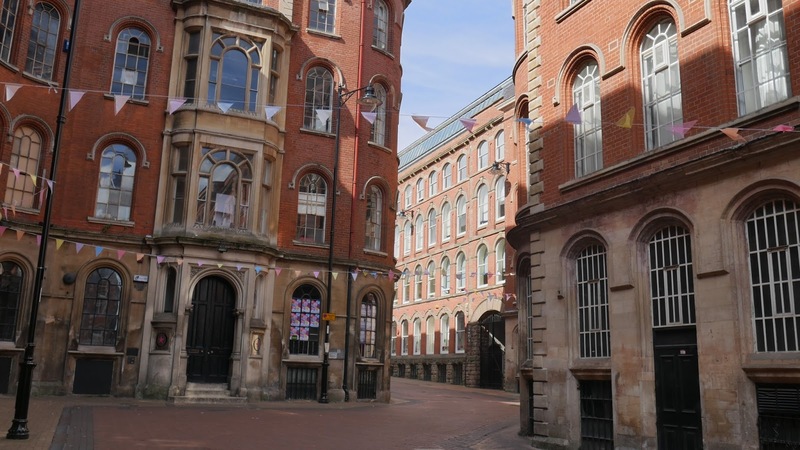 Cut up through St Mary’s Gate and take the next right into Broadway, perhaps Nottingham’s most attractive street. 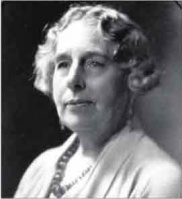 Nottingham born Alice Zimmern (1855–1939) was a writer, translator and suffragist, whose books made a big contribution to the debate on the education and rights of women. 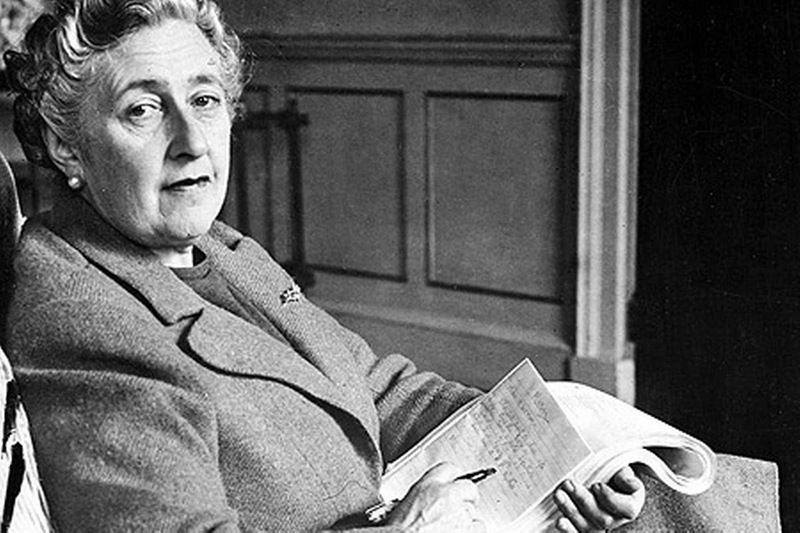 She mixed with fellow suffragist authors Edith Bland, Eleanor Marx and Beatrix Potter. Alice also wrote popular children's books on ancient Greece. 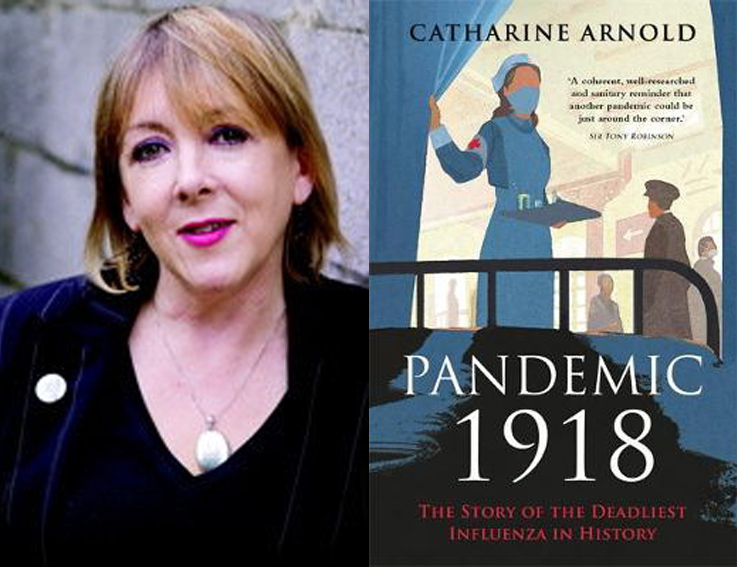 Collaborating with her sister Helen Zimmern (1846–1934), Alice opened up much European culture and thought to the British public. Their father was a German immigrant lace merchant. 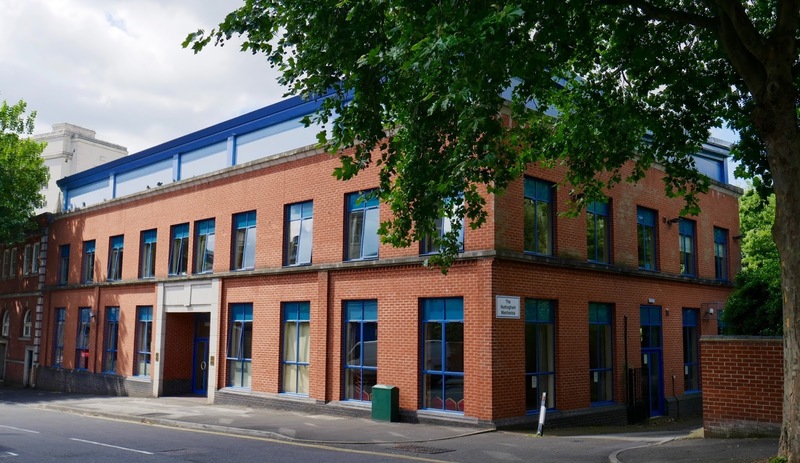 Turn left and head along Stoney Street, where you can find the offices of Writing East Midlands. On the left in the Adams Building, the largest and finest Victorian building in the Lace Market. 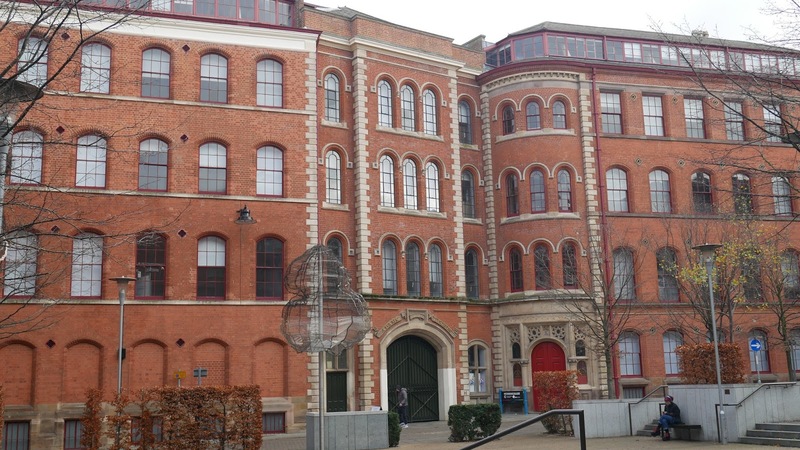 T C Hine designed this building for Thomas Adams. The building housed a library and hosted a book club for its many lace workers. New College Nottingham is now based here. Passing through the building you'll arrive on St. Mary's Gate. 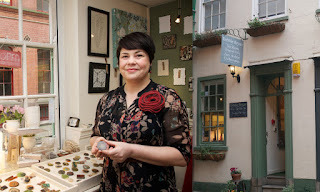 Not far from the back of the Adams Building is Debbie Bryan, a craft shop with a tea room. 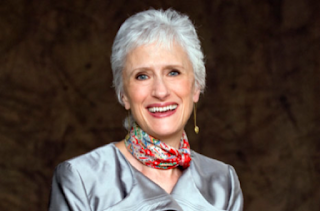 The poet and novelist Anne Holloway hosts poetry events here. Holloway is the founder and editor of the Nottingham publishing house Big White Shed. 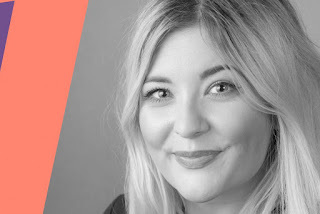 She also co-founded Mouthy Poets. 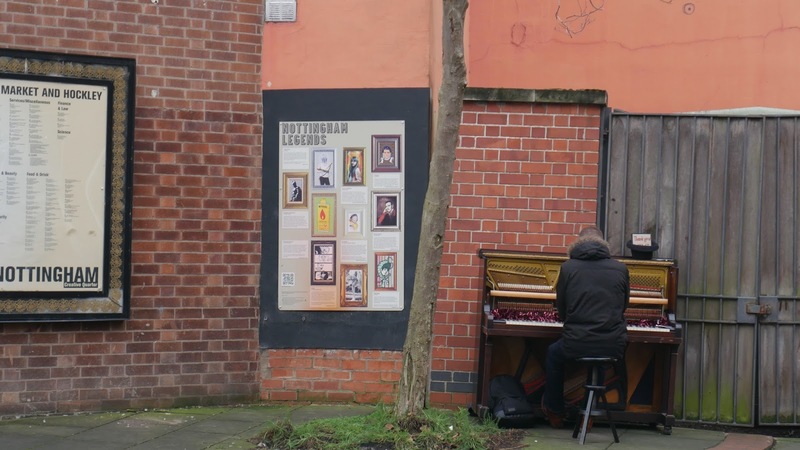 Pop back to Stoney Street, at the end of Woolpack Lane. 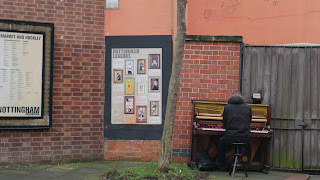 Here is the wall of legends celebrating local favourites and, if you’re lucky, this talented busker. 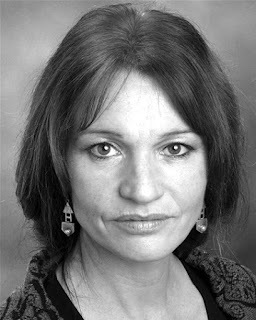 If Nottingham auditioned for parents, we could do worse than cast Su Pollard and the hybrid ‘Byron Clough’ in the roles. 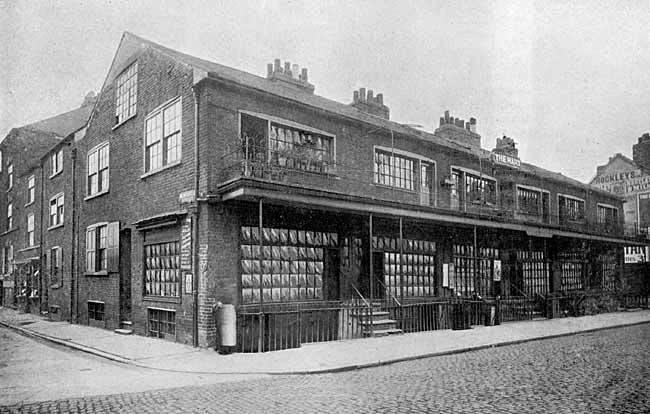 It was on Woolpack Lane that William Ayscough moved his printing press in 1718. 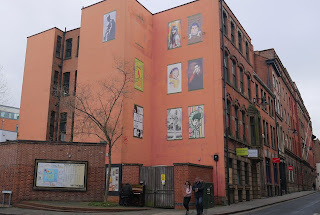 He died four years after moving here but Anne Ayscough continued the printing business. Poetry is Dead Good have held their performances here. 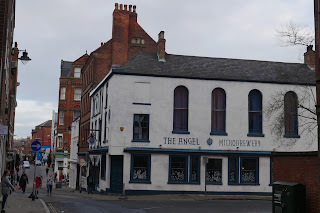 Pass The Angel and the Chippy to Goosegate. Take a right and head all the way down. 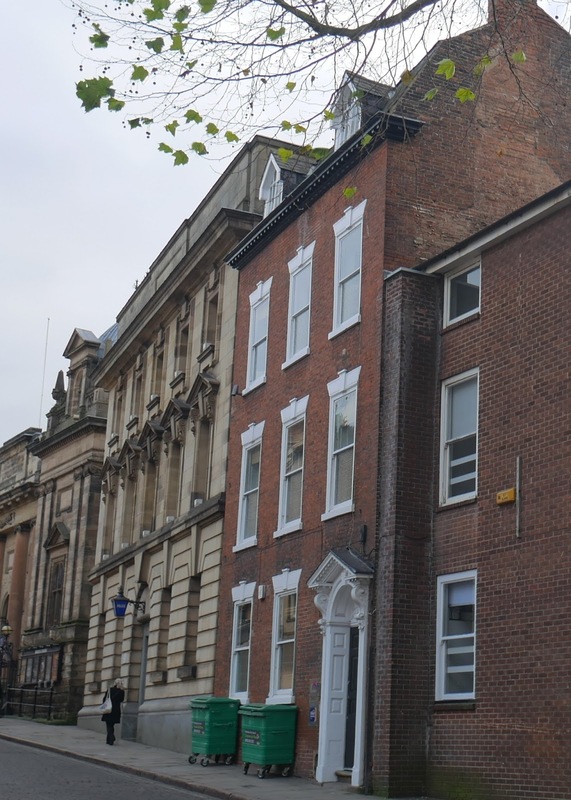 Cross St. Belward Street and continue to the Nottingham Writers’ Studio, on the corner with Lower Parliament Street. 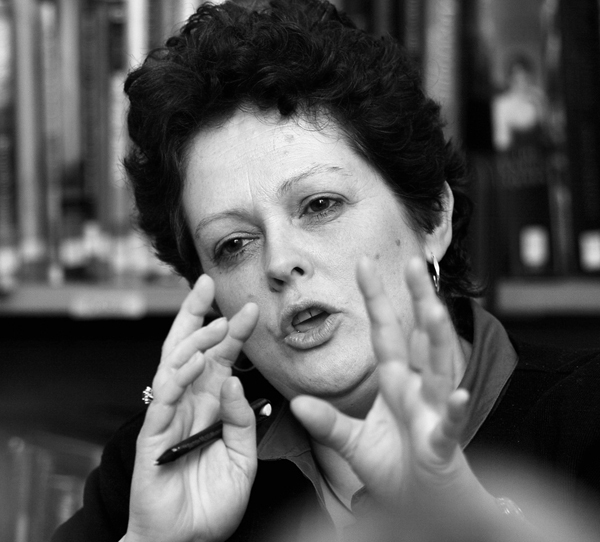 Paula Rawsthorne is a multiple award-winning author of young adult novels. 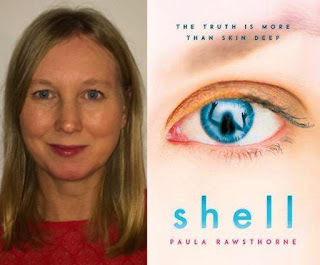 Her third book, SHELL (2018), is a tense and thought-provoking thriller. 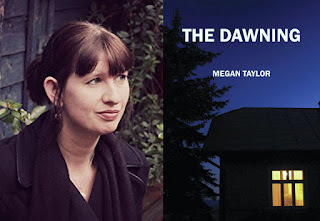 Megan Taylor’s novels include The Dawning (2010), a domestic thriller published by local publisher Weathervane Press. 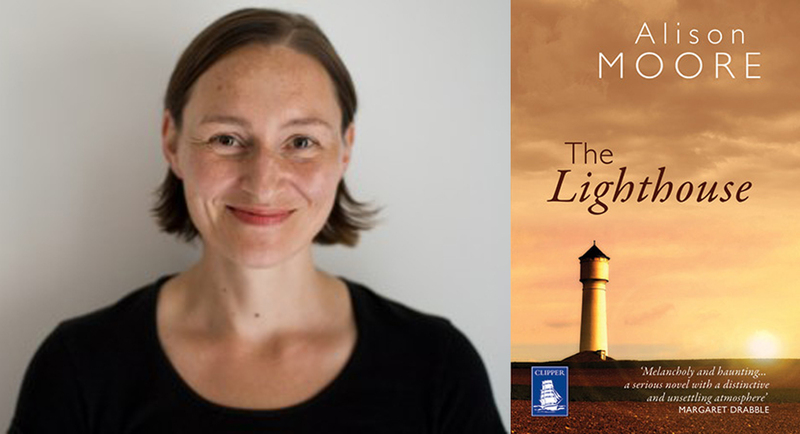 Alison Moore’s debut novel, The Lighthouse (2012), was shortlisted for the Man Booker Prize. Equally at home with literary fiction and horror her first children’s book, Sunny and the Ghosts, is out this year, as is her fourth novel, Missing. Return back up Goosegate. 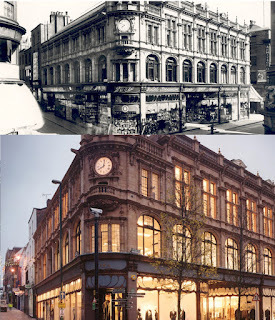 On the left is the site of the first Boots Store. Turn right at Heathcote Street. 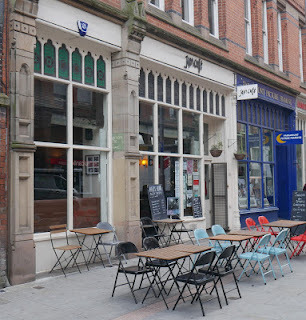 On the right is Jam Café, host to a monthly poetry evening. The premises now used by Jam Cafe and Paramount Pictures used to house Mushroom Bookshop (1972-1999) which had sections devoted to women's writing, to lesbian writing, and to feminism. 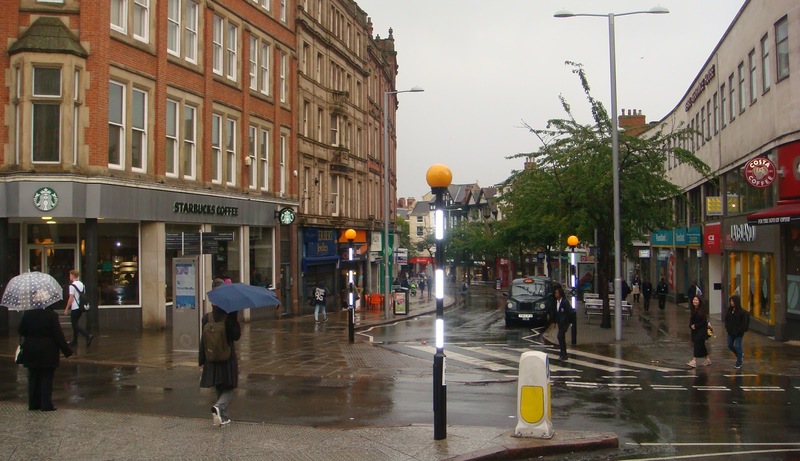 Take the next left (High Cross Street) and left again at Broad Street. Note the Lord Roberts Pub, once the home to Tales from Two Cities, led by Sophie Snell. 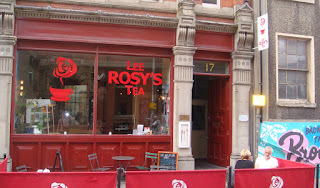 Lee Rosy’s Tea Room, on the right, host regular poetry events. 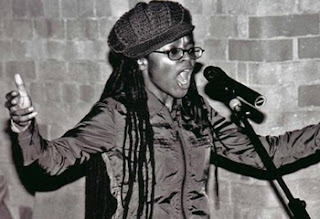 Past performers here include Cleo Asabre-Holt. 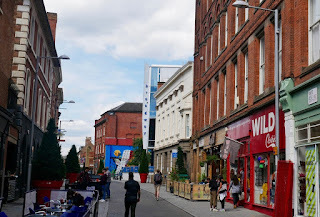 On the left is the Broadway Cinema. Broadway hosts a popular Book Club, established by Pam McIlroy and currently run by Leanne Wain. 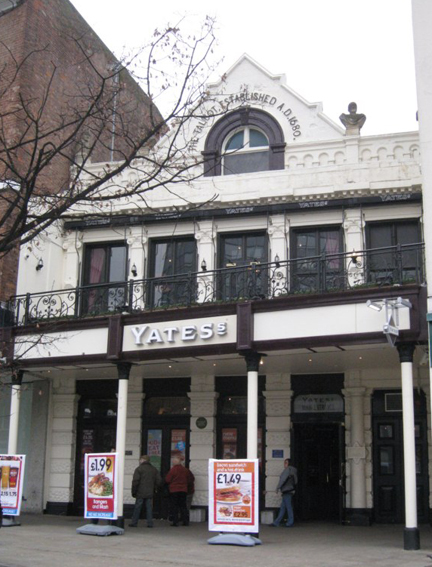 A film festival Shots in The Dark was held here through the 1990s. 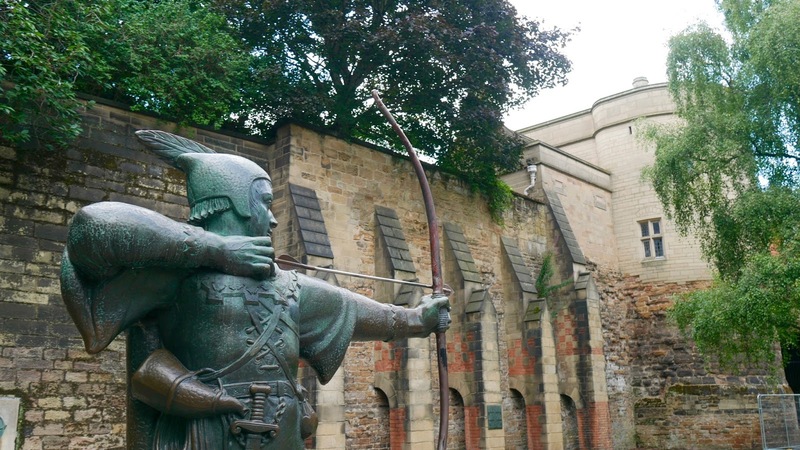 Incorporating crime fiction it paved the way for Nottingham to host Bouchercon XXVI in 1995. This was the last time the world’s largest crime/mystery convention crossed the Atlantic. 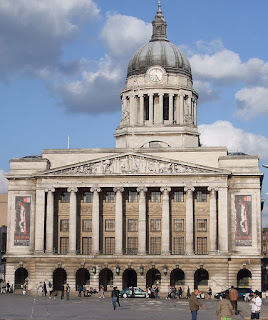 Nottingham’s crime festivals attracted many best-selling authors including James Ellroy and Sara Paretsky. 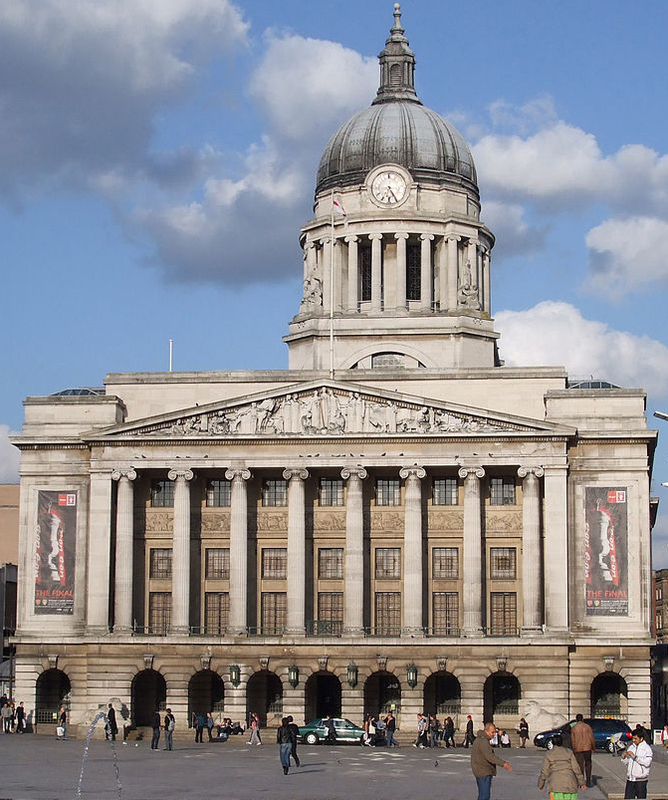 Nottingham’s crime festival will return in 2018. Continuing along, Rough Trade is on the right. Supportive of literary events Rough Trade is also venue for live poetry, spoken word, book launches and readings. Local poets Panya Banjoko, Becky Cullen (a Poet-in-Residence at Newstead Abbey), Di Slaney (prize-winning poet, animal lover and the co-owner Candlestick Press), Sue Dymoke, Aly Stoneman (Poetry Editor at LeftLion magazine and a Midlands3Cities AHRC-funded postgraduate researcher at NTU), and Bridie Squires (Editor LeftLion magazine), have all performed at Rough Trade. 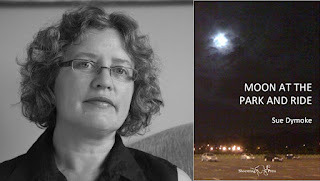 A researcher and educator in the teaching of poetry, Sue Dymoke has her own collections The New Girls (2004) and Moon at the Park and Ride (2012), both published by Beeston’s Shoestring Press. 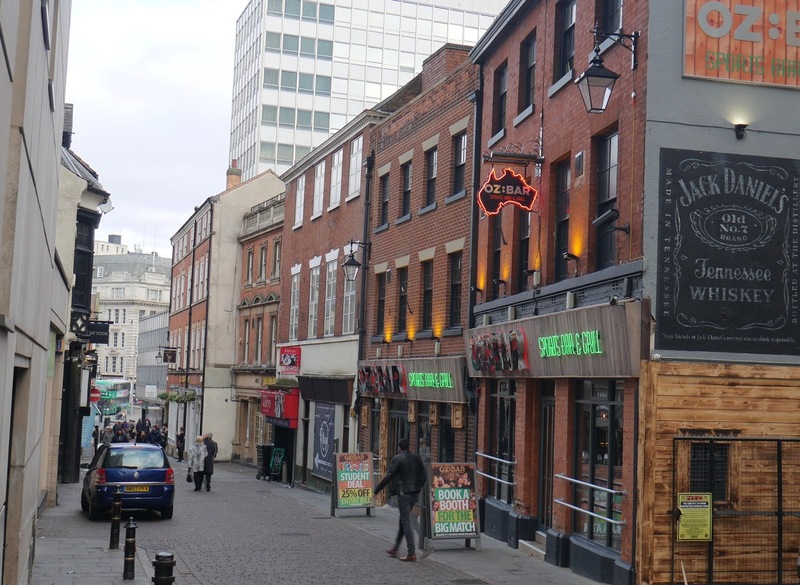 Veer right, up Goosegate and continue through trendy Hockley. This area is featured in Caroline Bell-Foster’s The Cat Café. The Nottingham author and workshop leader is best known for her Call Me Royal series. This café hosts The Hockley Book Club and poetry nights but it’s time to head left instead, down Victoria Street. To the right is Boots corner where the Blackmore’s Head used to be. 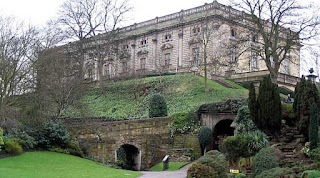 This is where Lord Byron’s body lay in state. At the corner of Bridlesmith Gate and Bottle Lane there used to be a bookshop, of the Sutton family (also publishers). 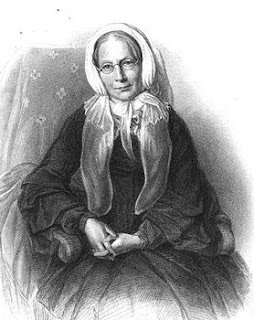 A member of this family, Eliza S Oldham (1822-1905), wrote the novel By The Trent (1864). 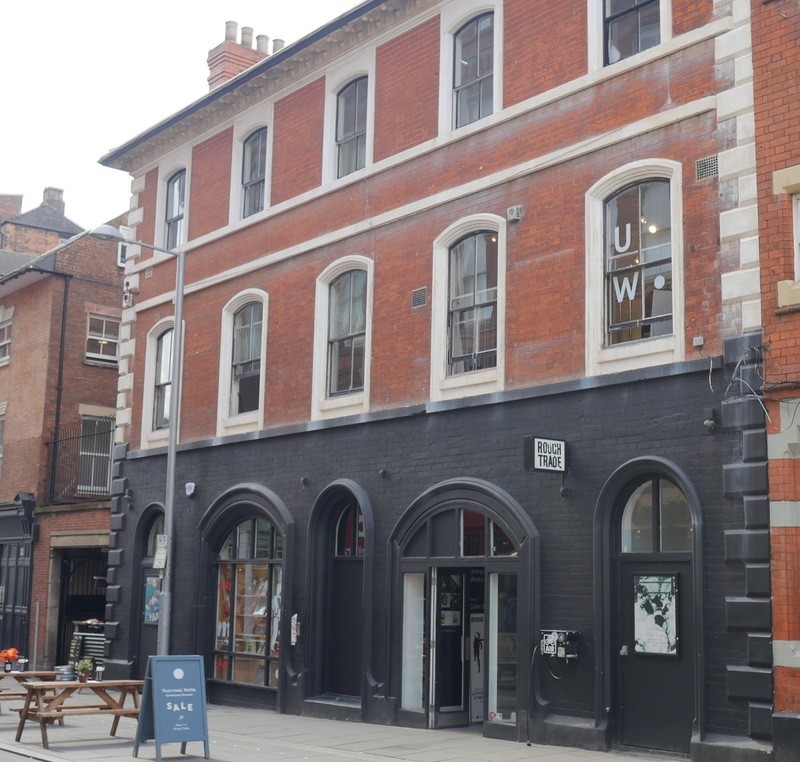 On the other side of Bottle Lane is Waterstone’s, the self-declared ‘finest bookshop in the Midlands’, and Nottingham’s largest, another fine Victorian building. 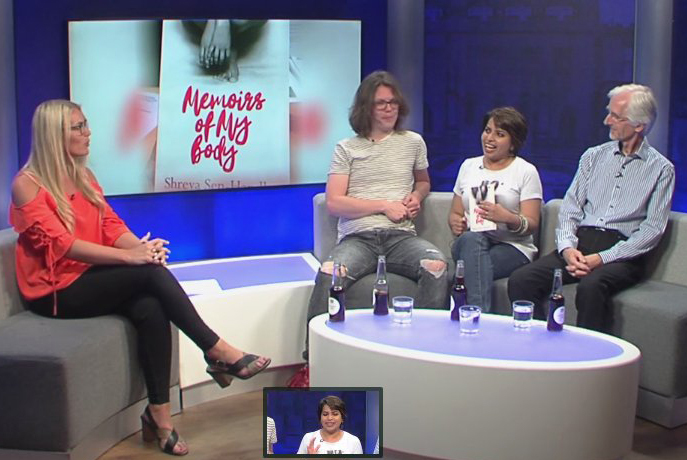 Waterstone’s feature a busy programme of events, including talks from top authors, such as local talents Mhairi McFarlane, Elizabeth Chadwick and Eve Makis. 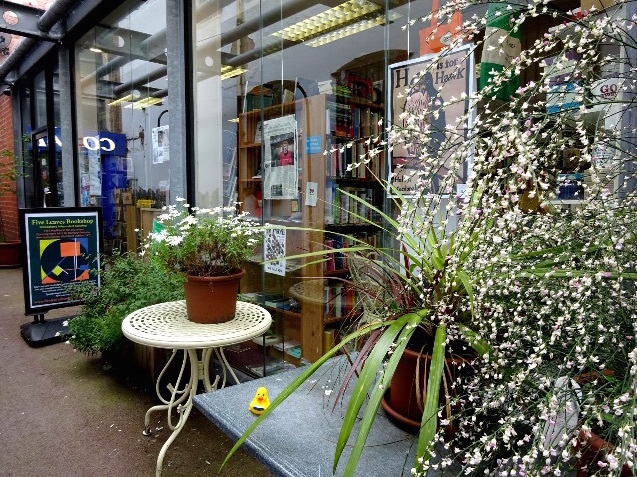 The multi-storey bookshop also hosts an annual LGBTQ literary festival called Bold Strokes. 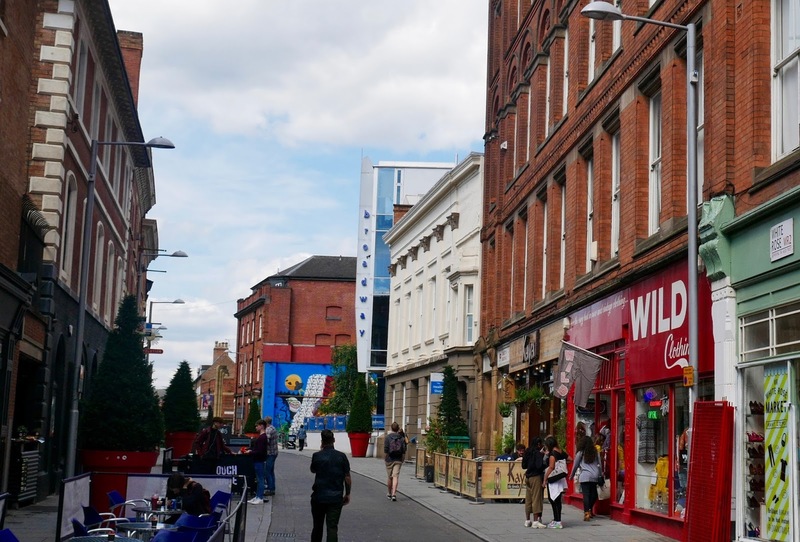 Going right at High Street (surely one of the shortest High Streets), walk along to ZARA which sits on the corner with Pelham Street. This area was once called Hen Cross, or Women’s Market (before 1812). 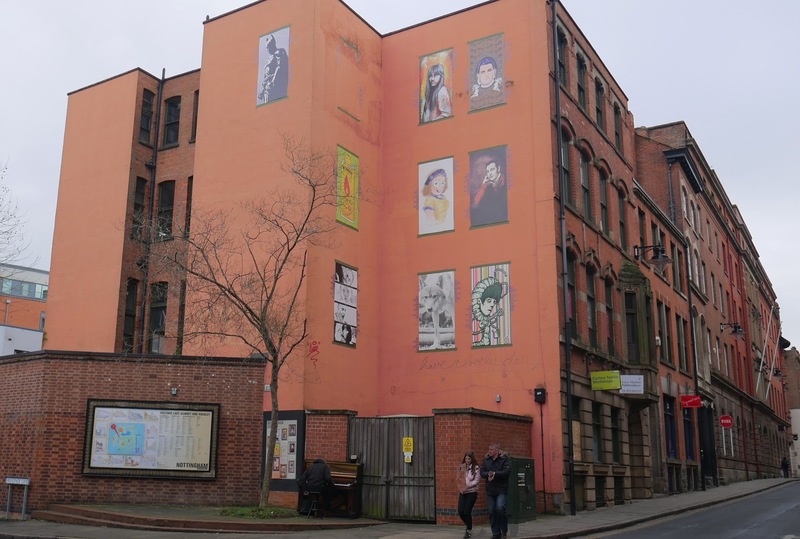 Now head down Smithy Row. 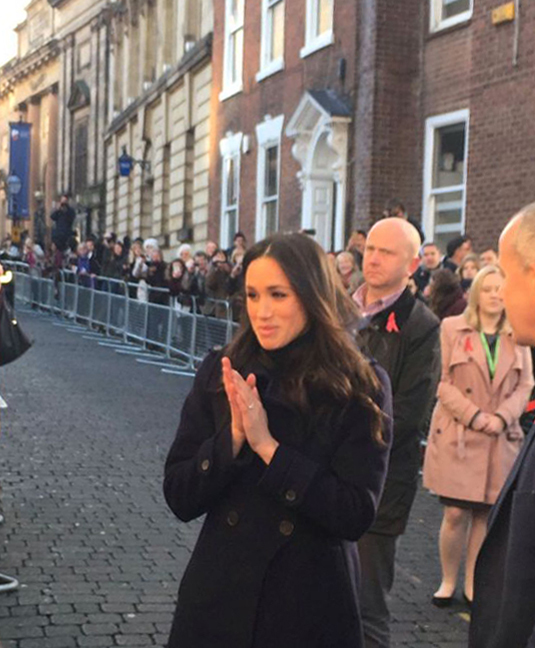 Immediately on the right is Primark. 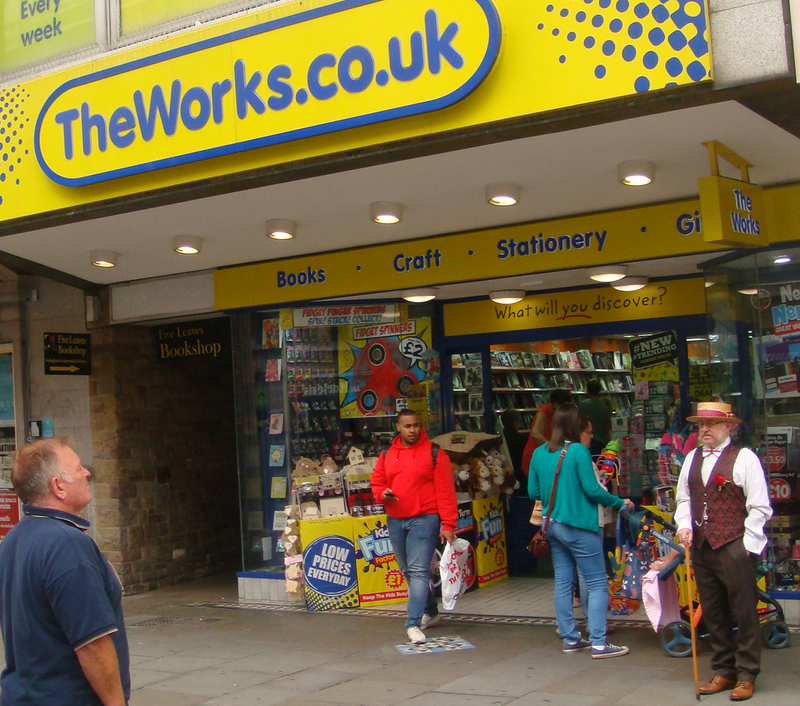 Right at the back of this store, on the right, is an entrance/exit with Maypole Yard (where a Jewellers is). It was here in 1825 that the ‘White Lady of Newstead’ lost her life. Her real name was Sophia Pyatt (or Hyett, or Hyatt depending on who you believe). Sophia was knocked down and killed by a carrier's cart. 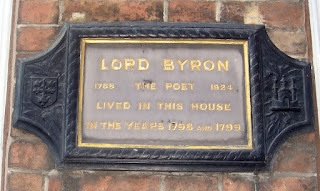 A poet and fan of Lord Byron, her remains were interred in Hucknall Church as close as possible to Byron's. 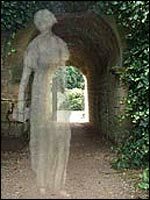 She is the famous ‘White Lady’ whose ghost is said to have haunted Newstead Abbey. 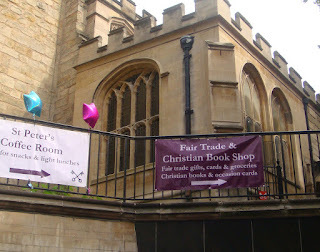 A little farther along The Works bookshop is on the right. 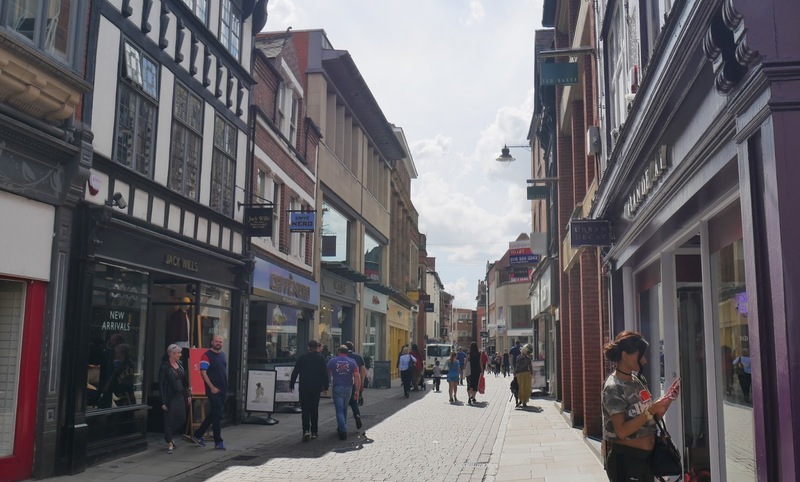 Next to this is an alleyway down which is Five Leaves, one of the few independent bookshops to open in a UK city centre this century. 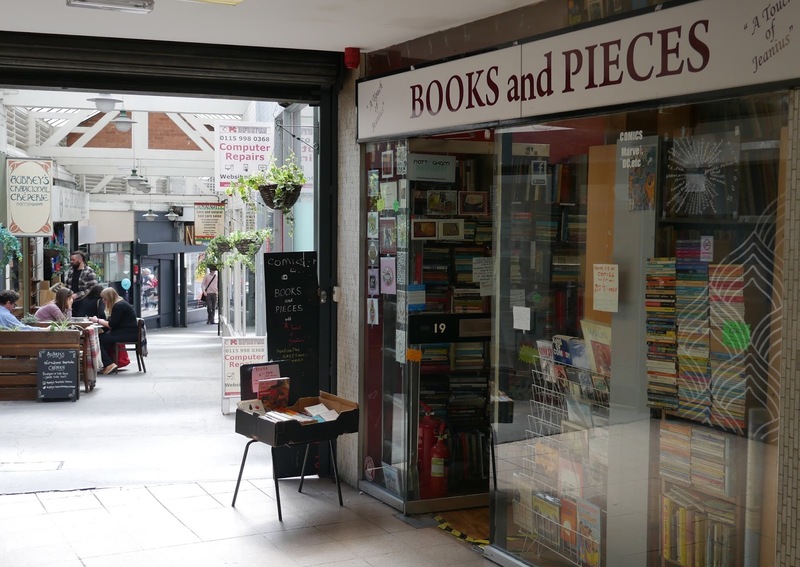 This radical bookshop includes a feminist section. 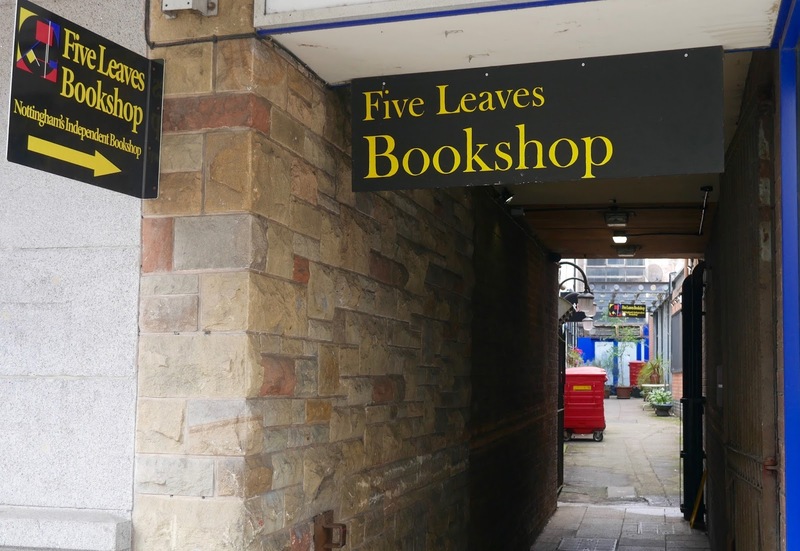 Five Leaves hosts regular literary events. Deirdre O'Byrne, Giselle Leeb and Rhiannon Jenkins Tsang are among the many guest speakers to have appeared at the venue. 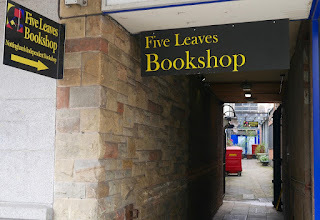 Five Leaves Publications, which started in 1995, operates from here. 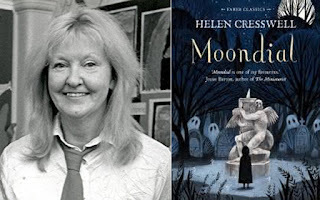 Pippa Hennessey, who worked on our bid for UNESCO status, works for Five Leaves who have published books by many local writers, including works from Hilda Lewis, Rose Fyleman, Clare Littleford, Nicola Monaghan and Helen Cresswell. They also published Pauline Lucas’s biography of Evelyn Gibbs. 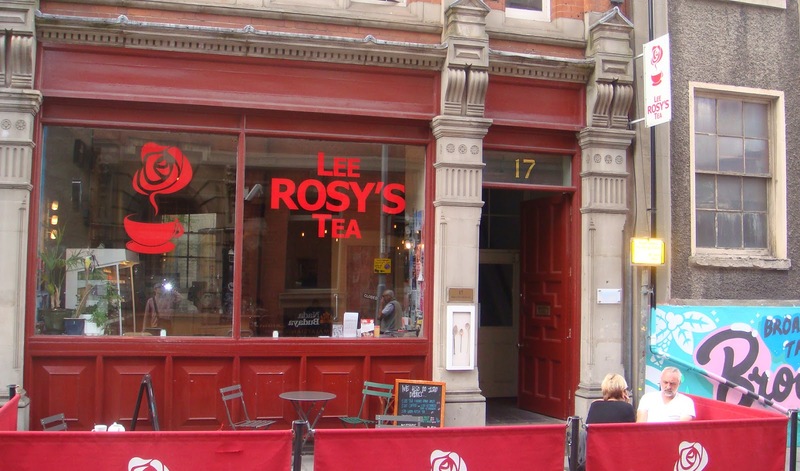 Down Five Leaves’ alley is where the author of Fair Rosamund (1839), Thomas Millar, had his premises. 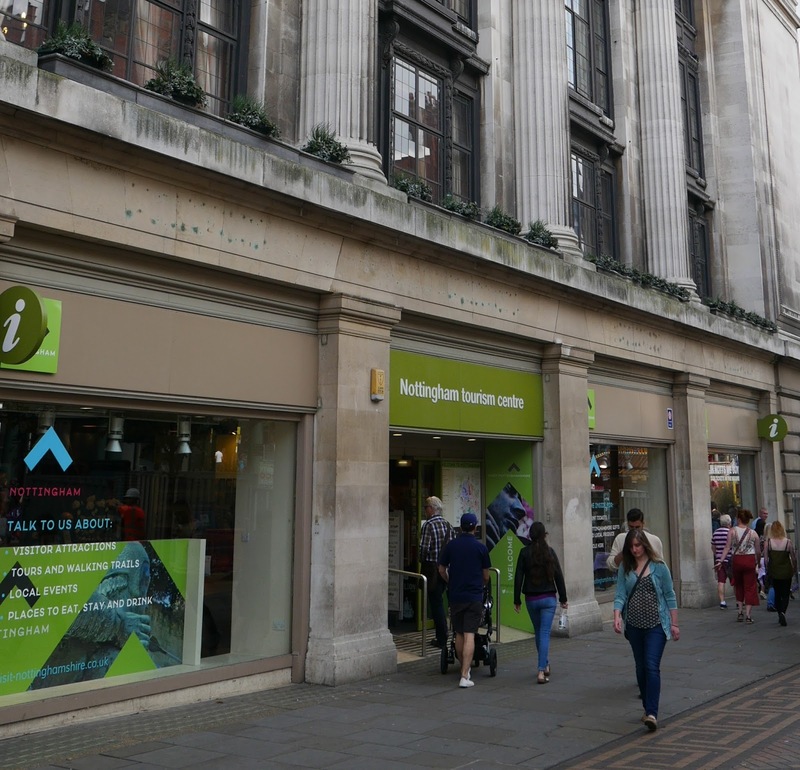 Across the street is the Nottingham Tourism Centre which also sells a good selection of Notts-themed books. 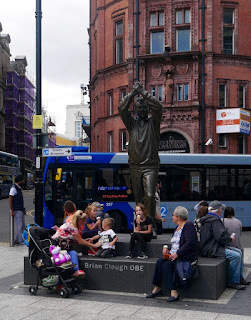 At the next corner, turn right, where Speakers’ Corner awaits at the site of the Brian Clough Statue. 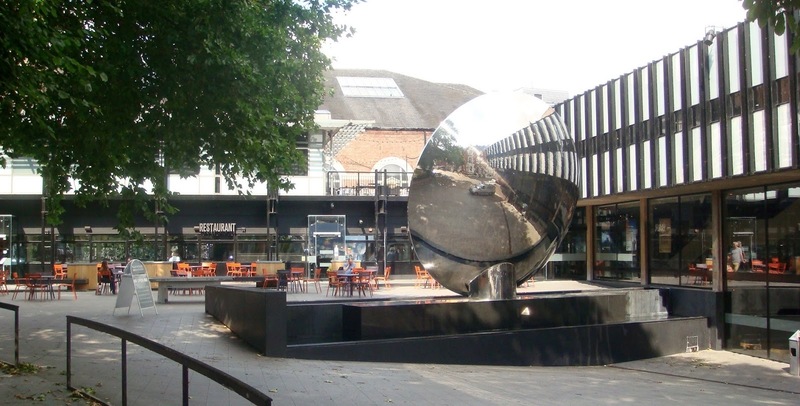 It was in 2008 that the Speakers’ Corner Trust created their first Speakers’ Corner in the UK, right here, recognising Nottingham’s history of rebellion. The bus behind Cloughie represents Rosie Garner’s book of poetry inspired by the various routes of Nottingham City Transport and the people and places that go with it. Continue up Queen Street then cross Upper Parliament Street. 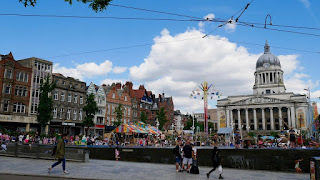 On the left is Nottingham’s Theatre Royal, Theatre Square. 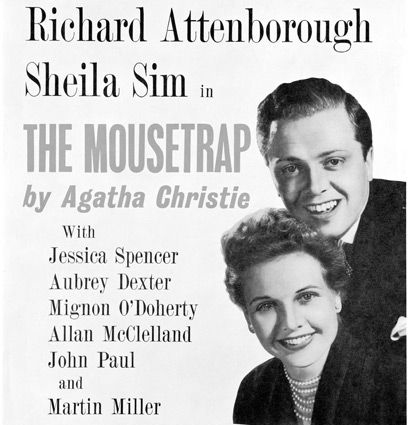 The Theatre Royal held the world premiere of Agatha Christie’s The Mousetrap. The 1952 premiere starred Sheila Sim along with her husband Richard Attenborough. 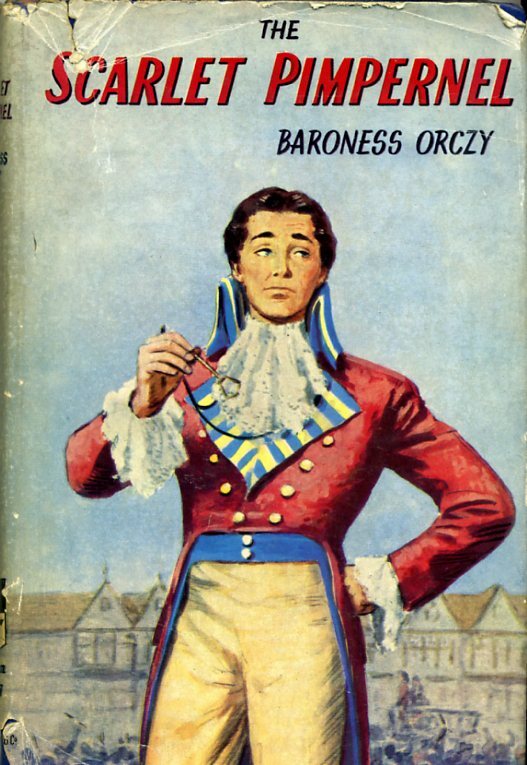 The Scarlet Pimpernel also made its first appearance here, two years before Baroness Orczy turned her play into a novel, spurning 13 sequels. 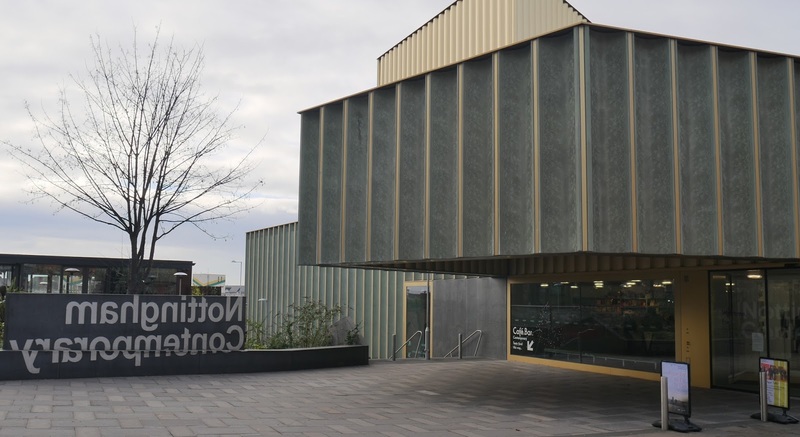 Cathy Grindrod runs a 55+ creative writing course at the Royal Centre, one of three writing courses for the over 55s at the Royal Centre and Nottingham Playhouse. 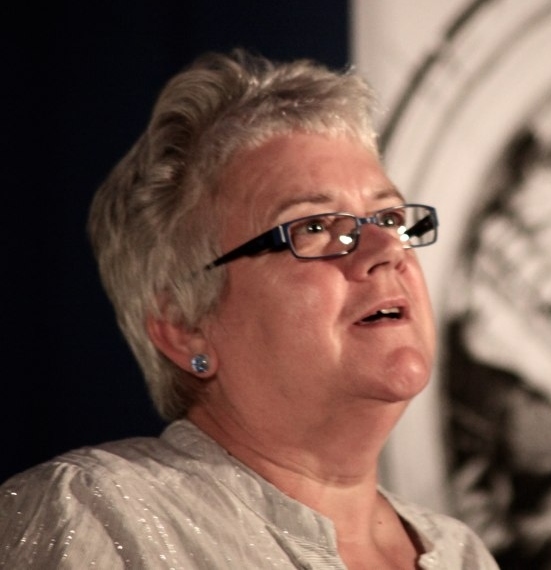 Grindrod is an award-winning poet, formerly Derbyshire Poet Laureate, and the author of five published poetry collections. 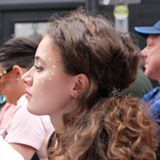 She is also a Coach for Writers. Head up South Sherwood Street. 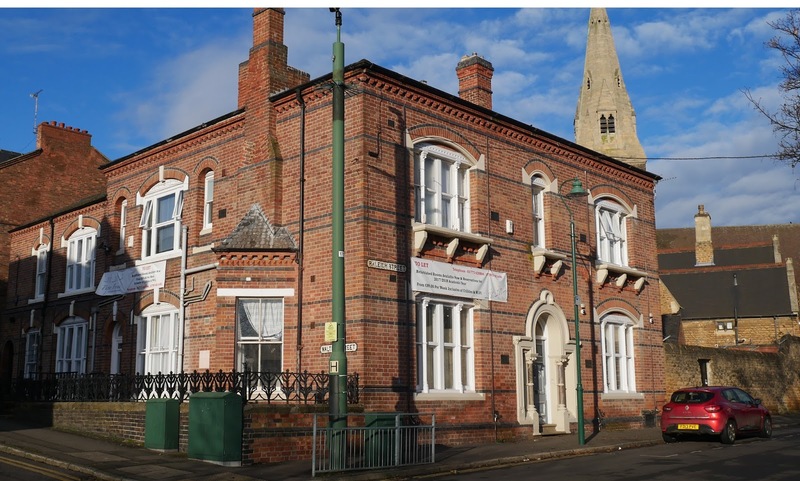 At Shakespeare Street and North Sherwood Street is the Nottingham Mechanics Institute, home to Nottingham Writers’ Club’s regular meetings. 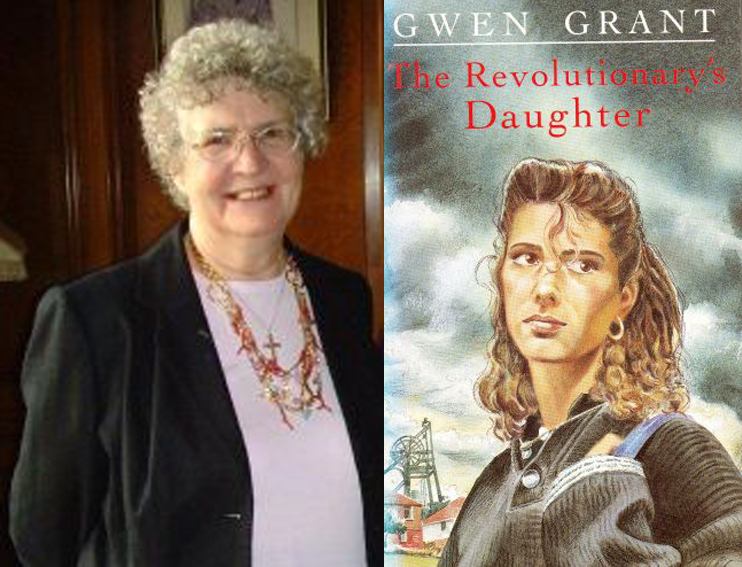 The award-winning author Glenis Wilson is a member of the club which was established in 1927. Joan Wallace, author of four historical novels set in Nottingham, was also a member. 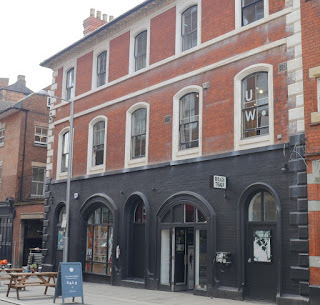 The Nottingham Poetry Society meet here. 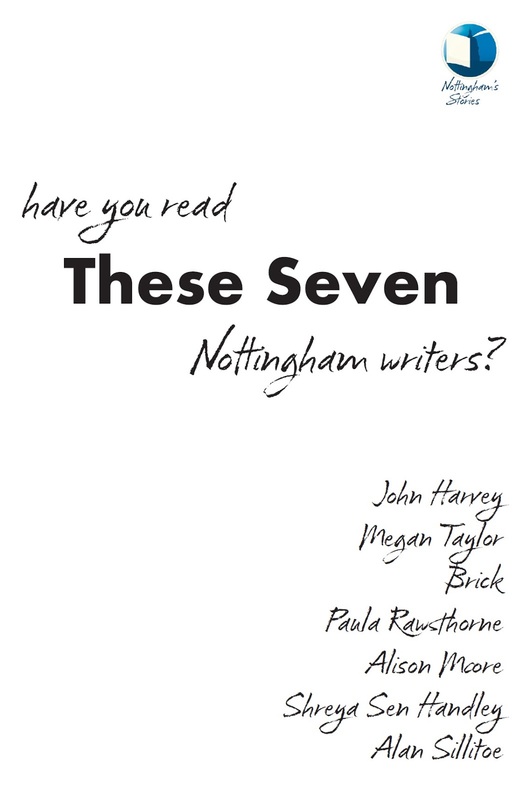 In 1941, Margery Smith and three other women formed the Nottingham Branch of the Poetry Society, which later became Nottingham Poetry Society. Current members include Cathy Grindrod. 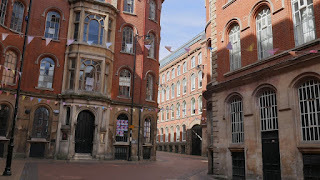 On the left is Nottingham Trent University’s Arkwright Building. 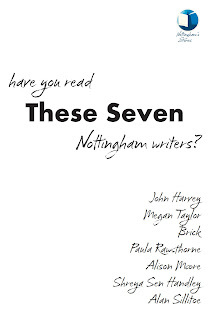 The MA in Creative Writing at NTU is one of the longest established postgraduate courses of its kind in the UK. 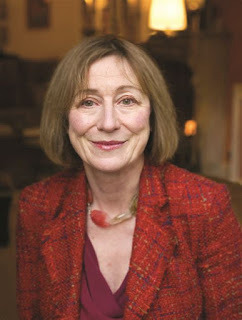 The course's first leader was the novelist Sue Thomas. She later founded trAce Online Writing Centre (1995-2006) at NTU, an early global online community. 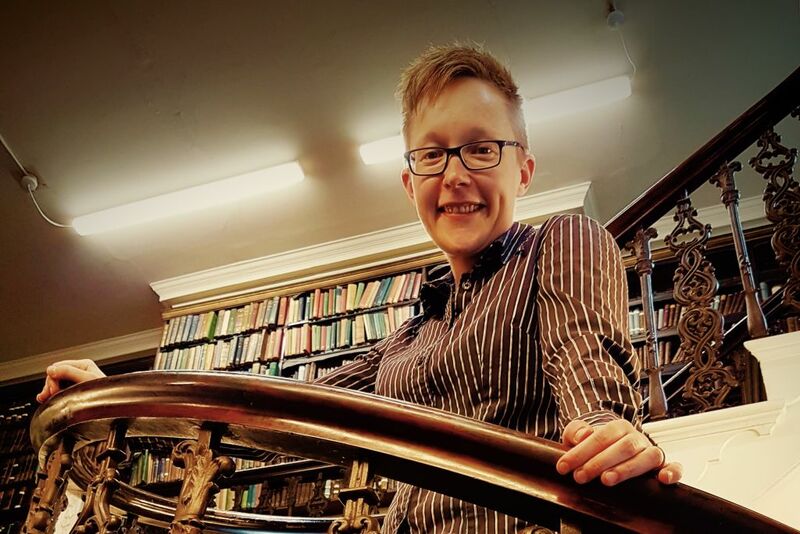 Former teachers on NTU's writing course include the biographers Katherine Frank and Kathryn Hughes, as well as the poets Catherine Byron and Clare MacDonald Shaw, former editor of the poetry magazine Quartz. The novelist, critic and cultural historian Elleke Boehmer also worked in NTU's English Department. 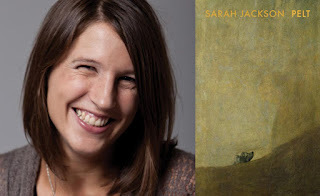 Among the current creative writing lecturers at NTU is Sarah Jackson. The novelist, biographer and critic Miranda Seymour has been a visiting professor at Nottingham Trent University. 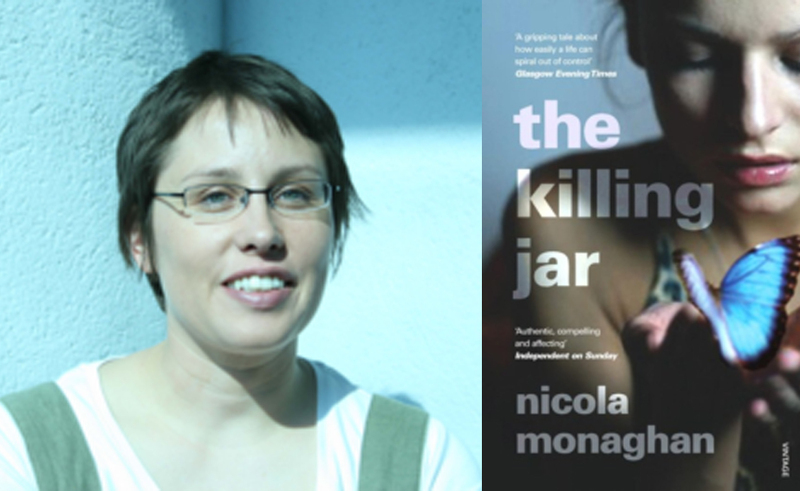 Among the authors who have undertaken MA writing courses at NTU are Clare Littleford, Frances Thimann, and the award-winning authors Nicola Monaghan a.k.a. Niki Valentine and Kim Slater a.k.a. 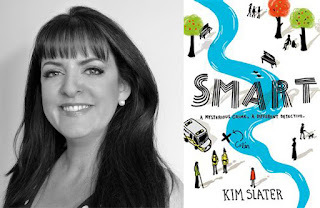 K L Slater. 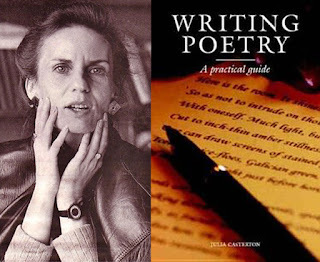 At one-time Monaghan was tutored by the Nottingham born Julia Alison Casterton (1952-2007), the writer of Writing Poetry - A Practical Guide (2005). 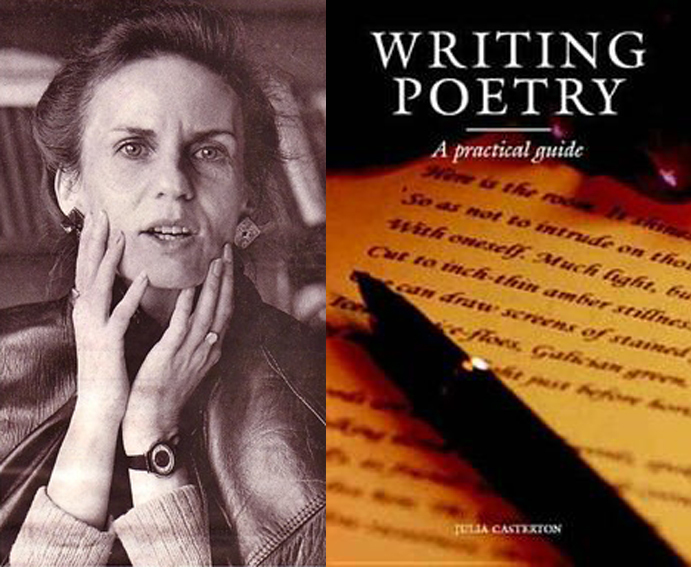 Casterton has been described as a startlingly vivid lyric poet, her writing infused with the influences of feminism. 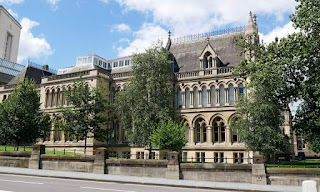 The Arkwright Building itself has been a public library and it was once University College at which Rose Fyleman (1877-1957) attended for a spell. 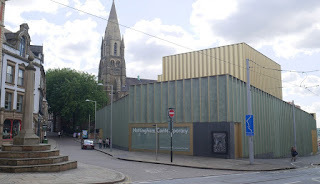 She later taught in Nottingham and lived on Newcastle Road, The Park (if you fancy a detour, you can find the entrance to Newcastle Road if you head up Derby Road and look left). 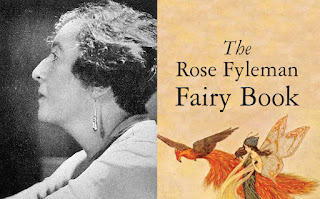 Fyleman is best-known for her poem Fairies (There are fairies at the bottom of our garden!). She also wrote plays, short stories and a Nottingham-set fantasy. At the next crossroads look over to the right. 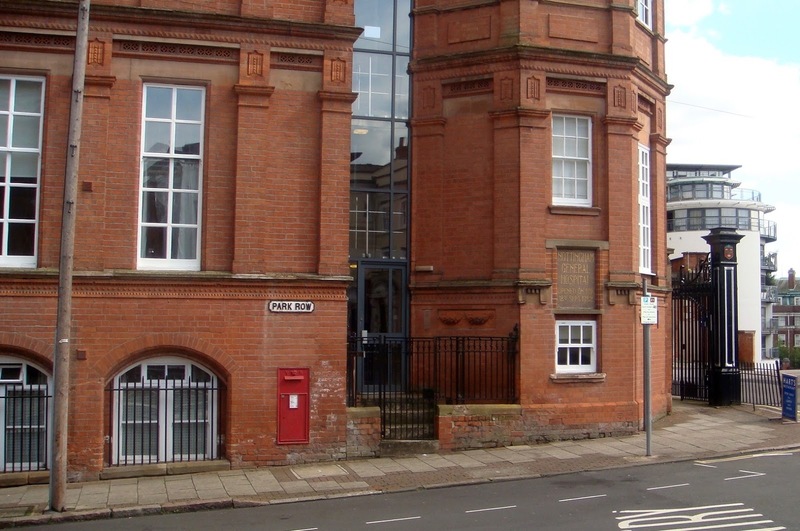 Across the road, at the end of Waverley Street, is the former Nottingham School of Art, now NTU’s Art & Design department. 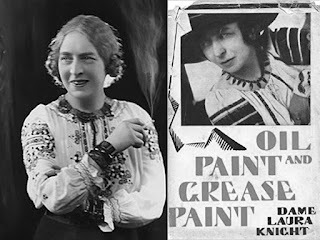 Laura Knight also attended the Art School, becoming their youngest ever student in 1890 after enrolling as an 'artisan student' paying no fees, aged just 13. Dame Laura Knight has two autobiographies, Oil Paint and Grease Paint (1936) and The Magic of a Line (1965). Knight was an official war artist whose work also focused on marginalized communities, including gypsies, circus performers, and workers in the American South. 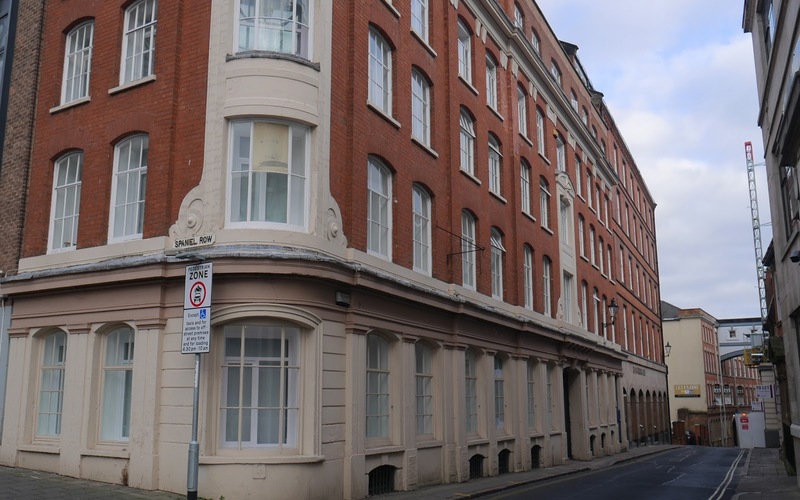 You might want to pop up Waverley Street (a rare street named after a novel) and seek out 6 Arthur Street on which Anne Gilbert (born Anne Gee) (1830-1908) once lived. 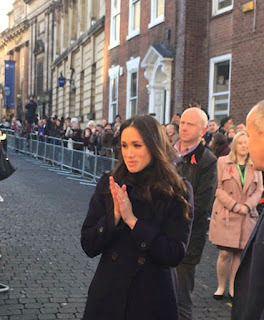 It was here that she also taught children, an endeavour from which grew an important school. 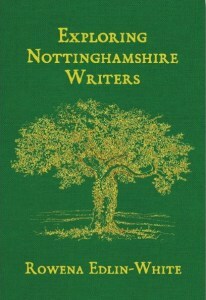 Gilbert is the author of Recollections of Old Nottingham (1904). 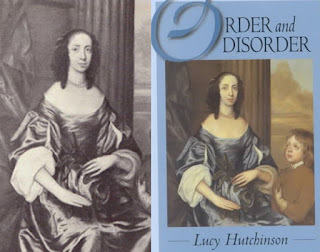 She was an authority on the flora of Nottingham and local history. Now retrace your steps a short way, along Shakespeare Street, until the road joins with Goldsmith Street. 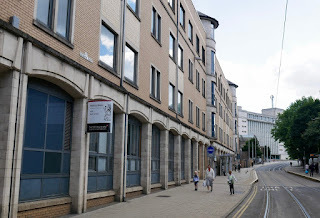 On the left is Boots Library. This NTU library is open 24-7 during term time. 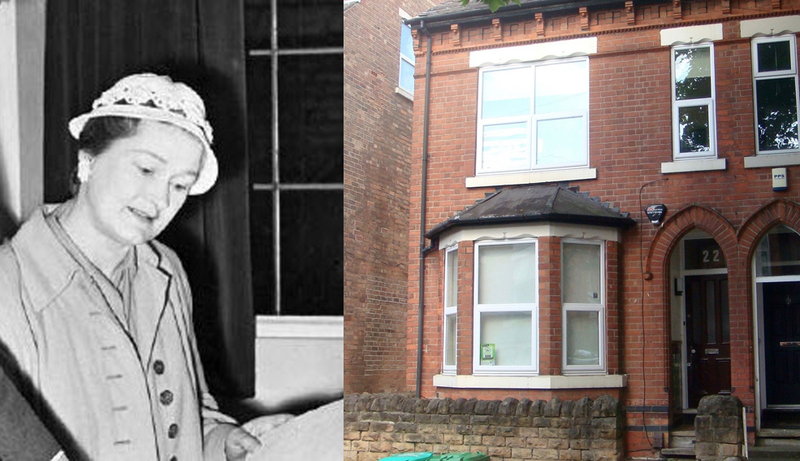 Nottingham University’s first hall of residence was named after Florence Boot (born Florence Rowe). 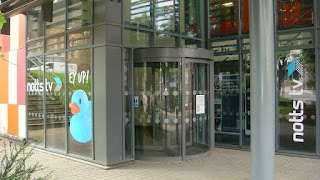 Just on from Blackwell’s University Bookshop is the office of Notts TV. Turn right and head up Chaucer Street. 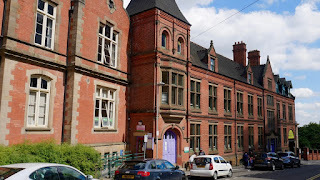 Towards the top, on the right, is the Nottingham Women's Centre, run by women, for women. 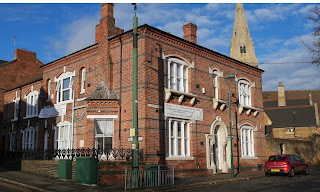 The only women’s library in the East Midlands, it contains many rare books and magazines. 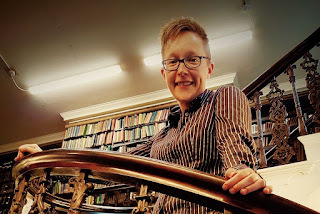 The library was relaunched in 2014 with special guest Kat Banyard, author and founder of UK Feminista. 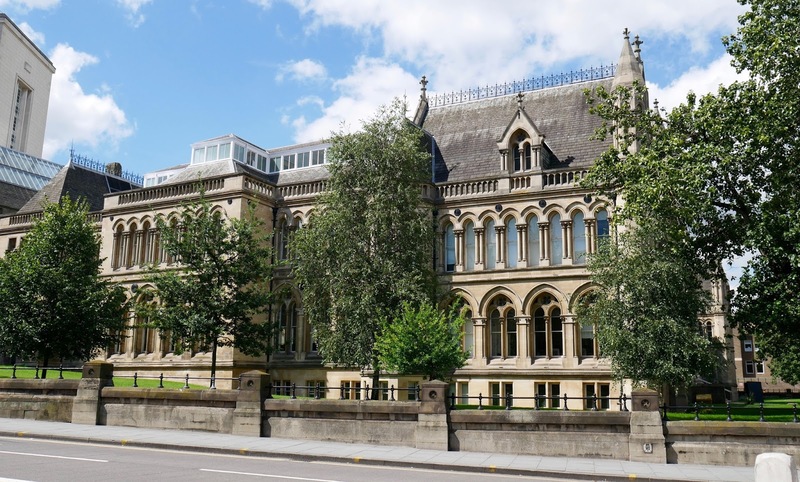 The redeveloped library, which is situated on the top floor, has become the hub of the National Feminist Archives and Libraries Network for the UK. The poet and essayist Nicki Hastie used to work at the centre. 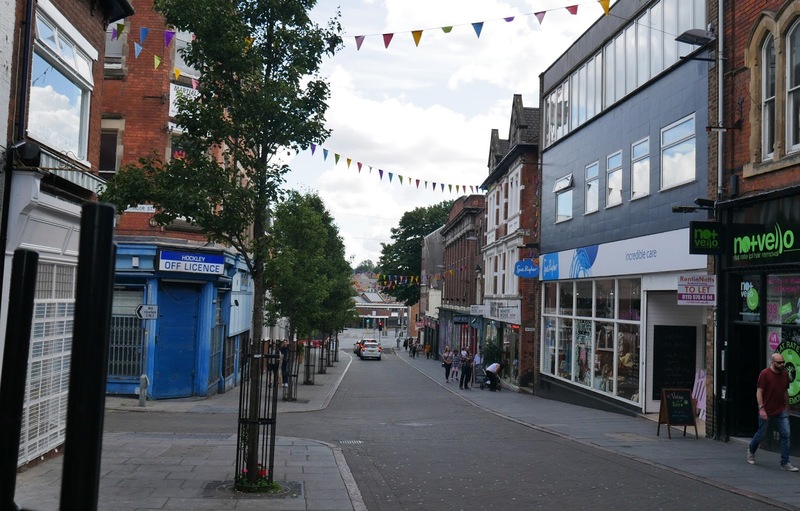 At the end of Chaucer Street turn left and head along Clarendon Street to Wollaton Street. Cross over to Vernon Street. From there cross Derby Road. 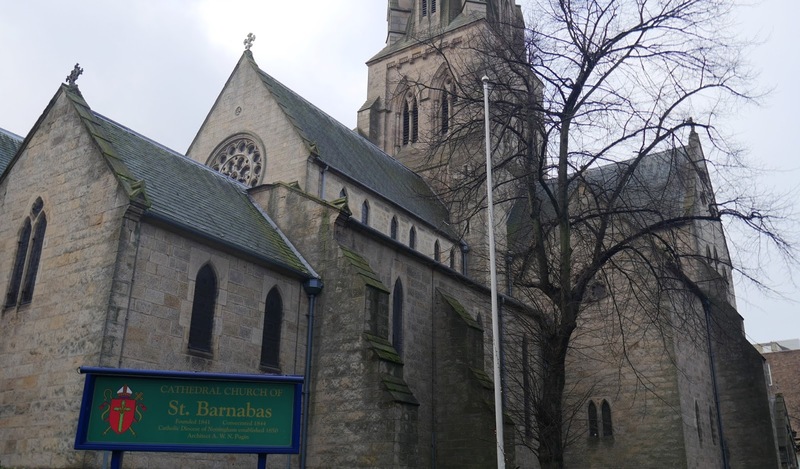 Here is St Barnabas' Cathedral. 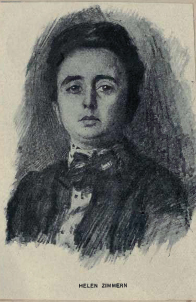 Sarah Ann Agnes Turk (1859-1927) (a.k.a. 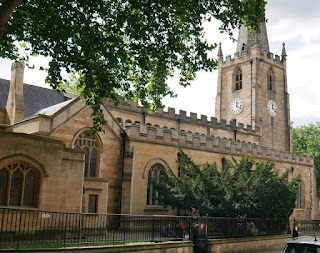 Sheila Agnes Turk) had a Requiem Mass here at St Barnabas'. Turk was a local Catholic writer of diverse novels and short stories including spiritual, detective and romance stories. 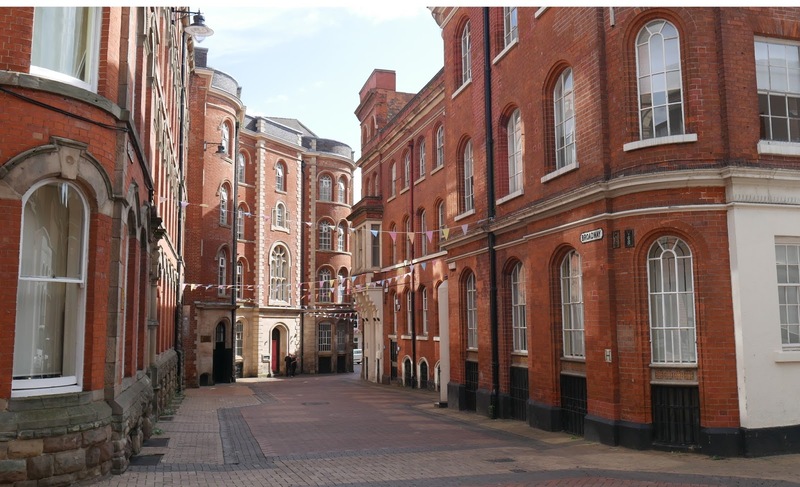 Enter North Circus Street, with the Albert Hall on your left. 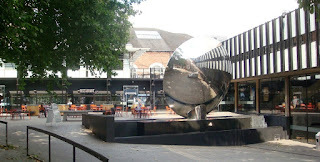 Just past the hall is Nottingham Playhouse. 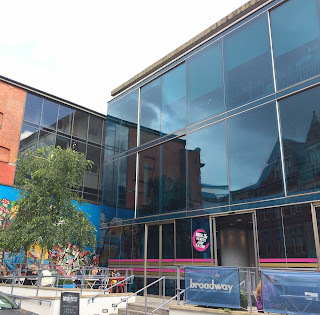 The Nottingham Playhouse used to be in a converted cinema on the corner of Goldsmith Street and Talbot Street (between 1948 and 1963). 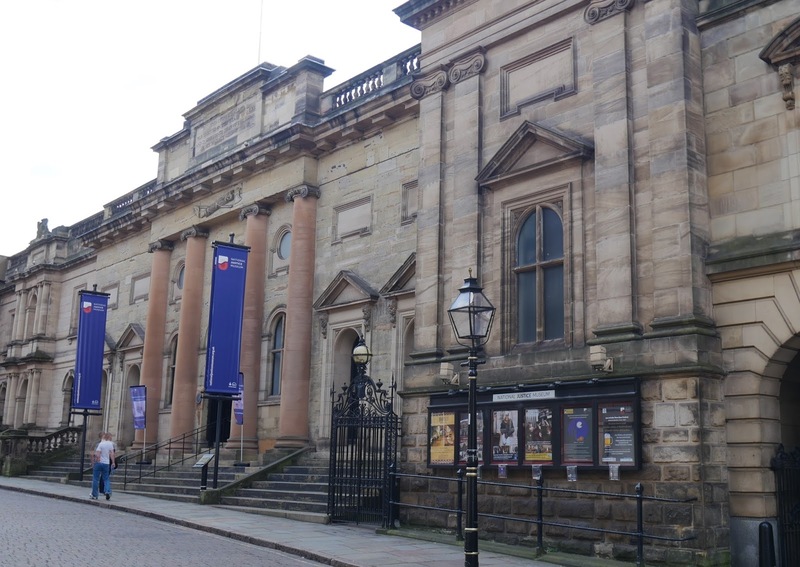 It was previously known as the Little Theatre or New Repertory Theatre before becoming the Nottingham Playhouse. 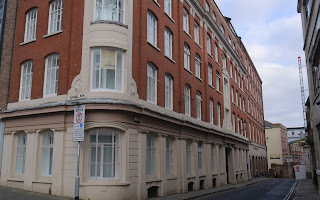 One of the reasons it moved from Goldsmith Street was the noisy traffic that could be heard by audiences. There a modern sculpture on Maid Marion Way celebrating our theatres. 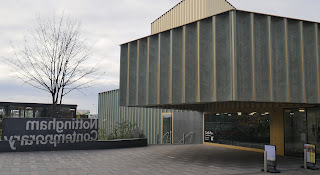 Host to several writing groups, the Nottingham Playhouse also features many plays from local writers; the Nottingham playwright Amanda Whittington being a Playhouse favourite. Beth Steel’s play Wonderland made its successful Nottingham debut at the Playhouse this year. Continue round and meet Oxford Street. No. 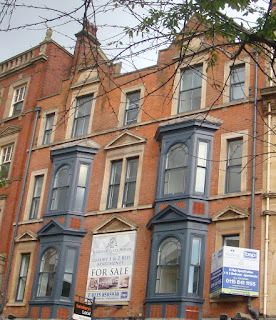 1 Oxford Street is site of the original Nottingham Girls High School founded in 1875. 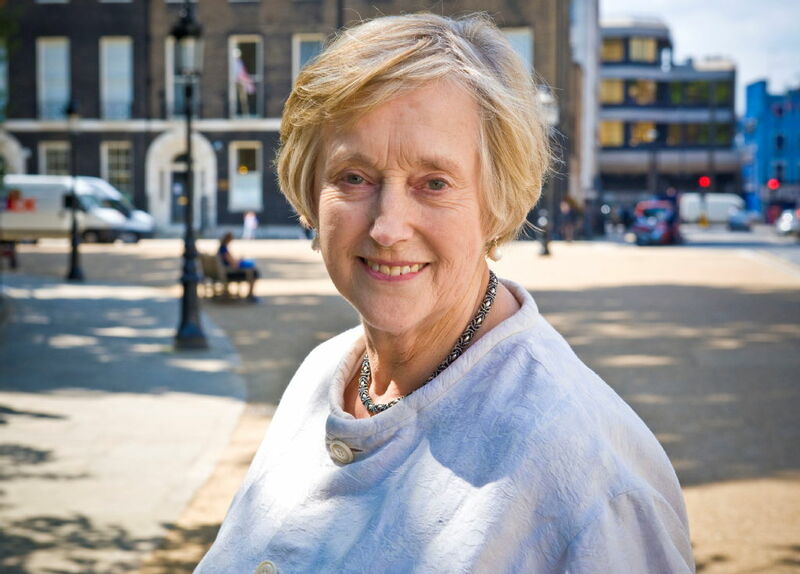 Now on Arboretum Street, the High School’s former pupils include the authors Helen Cresswell, Dame Stella Rimington and Julie Myerson. Dame Stella Rimington is the first woman to become Director General of the Security Service (MI5). 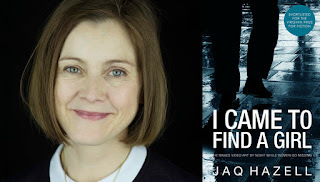 She is the author of the Liz Carlyle thriller novels. 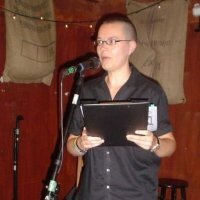 Sherwood born Julie Myerson is an author and critic. 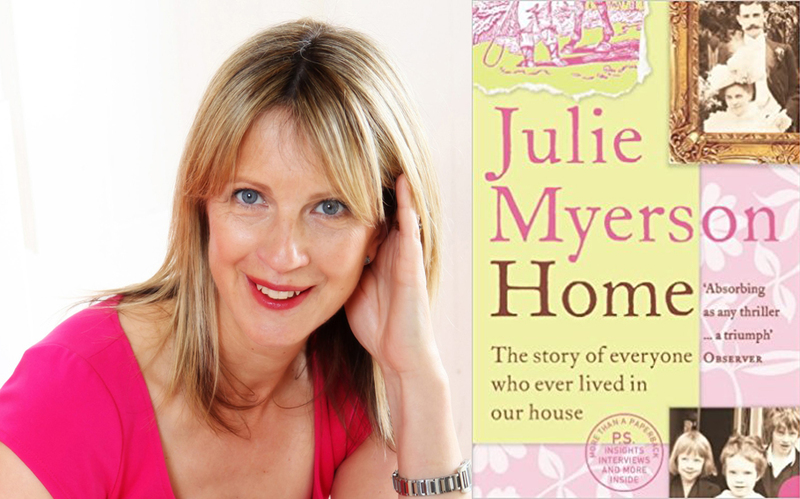 Her book Home: The Story of Everyone Who Ever Lived in Our House (2004), revisits several of her Nottingham homes. 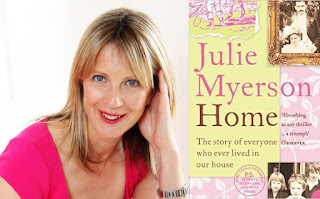 Another memoir Not A Games Person (2005), covers her youth in Nottingham, including her time at the Girls’ High School. On the corner with Regent Street is the former family home of the Hines. 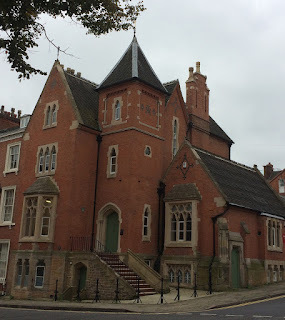 Nottingham novelist Muriel Hine (1873-1949) features this home in some of her 'Lacingham' novels including A Great Adventure (1939). 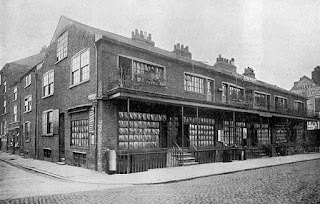 Hine also lived on the corner of Raleigh Street and Walter Street (off Alfreton Road). 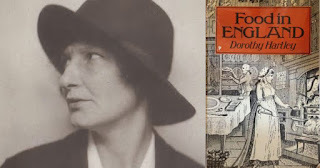 It was at 15 Regent Street that Constance Penswick Smith (1878-1938) and her friend Ellen Porter, Superintendent of the Girls' Friendly Society Hostel, tried to re-establish the true Christian celebration of Mothering Sunday, a campaign which was to last for 30 years. 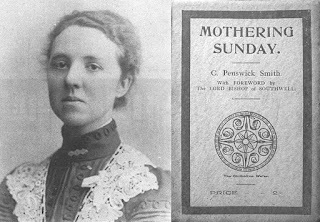 Smith founded The Society for the Observance of Mothering Sunday in objection to the American Ann Jarvis's introduction of a commercialised Mother's Day. The book A Short History of Mothering Sunday (1921) by Constance Penswick Smith was published to promote the ancient Mothering Sunday customs from across the world. At the top of Oxford Street turn left on The Ropewalk. 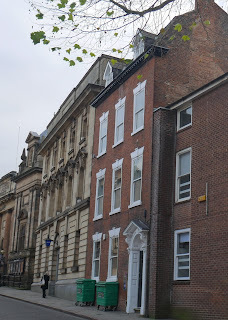 Continue to the corner where the former Nottingham General Hospital (1782-1991) is. In the mid-19th century the famous local architect T C Hine added a storey, the clock and the chapel. Hine’s granddaughter, Muriel Hine, achieved national fame as a novelist with her light fiction, which explored the challenges and expectations faced by women. 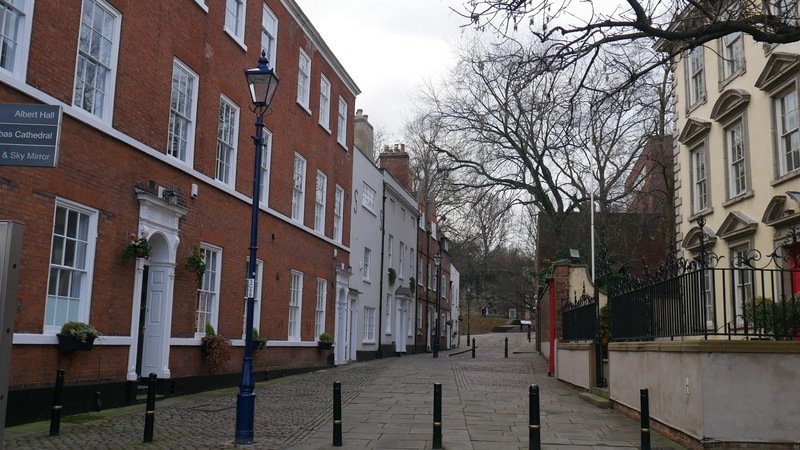 Move left down Park Row and then turn right into Postern Street leading to St James Terrace. 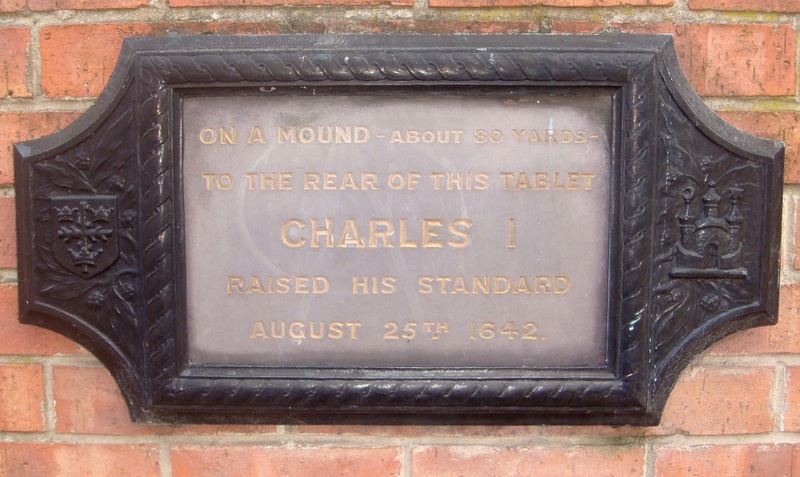 Here is the site of The Royal Standard plaque, which marks the raising of the Royal Standard by Charles 1st, starting the English Civil War. 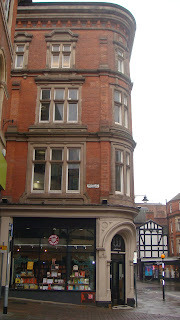 On the corner, at the top of St James Street, is no. 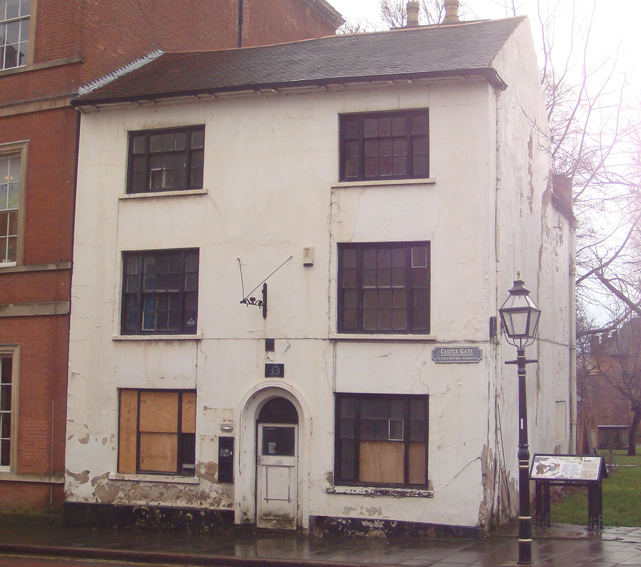 76, Newstead House, where Lord Byron lived between (1798-99). 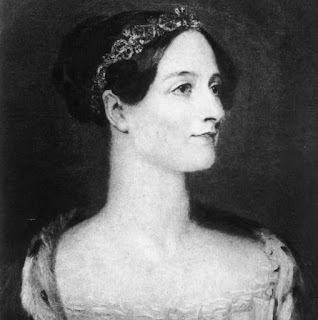 Byron’s daughter Augusta Ada Byron, later known as Ada Lovelace (1815-1852), was a pioneer of computing science, taking part in writing the first published program. 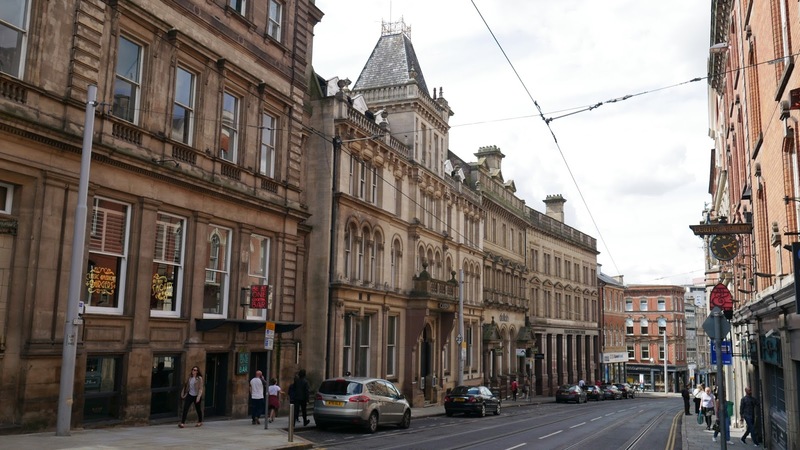 Head down the historic St James Street, one of our most notorious thoroughfares. 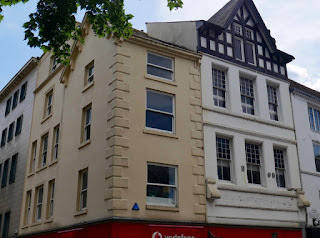 On the right used to be the News House pub. In Victorian times you could gather in pubs like this to hear newspapers being read aloud for those unable to afford to buy a copy, or unable to read. On the left is The Malt Cross, home of the James Joyce Reading Group led by Elizabeth Watkins, and various spoken word nights, including appearances from the Storytellers of Nottingham. 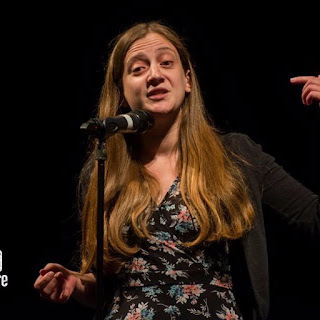 Leanne Moden runs Crosswords Open Mic night in the cave beneath the bar and kitchen. 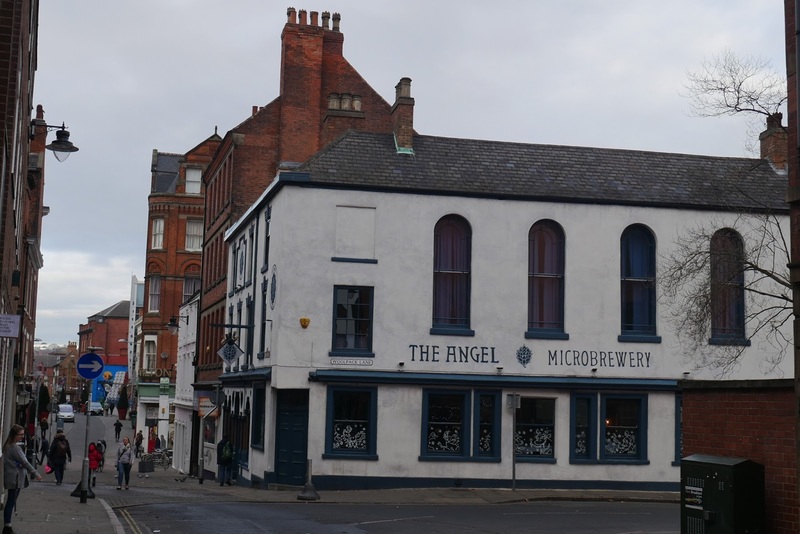 Turn left on Angel Row. 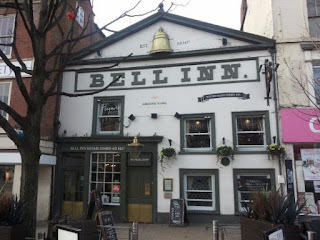 The Bell Inn is on the left. 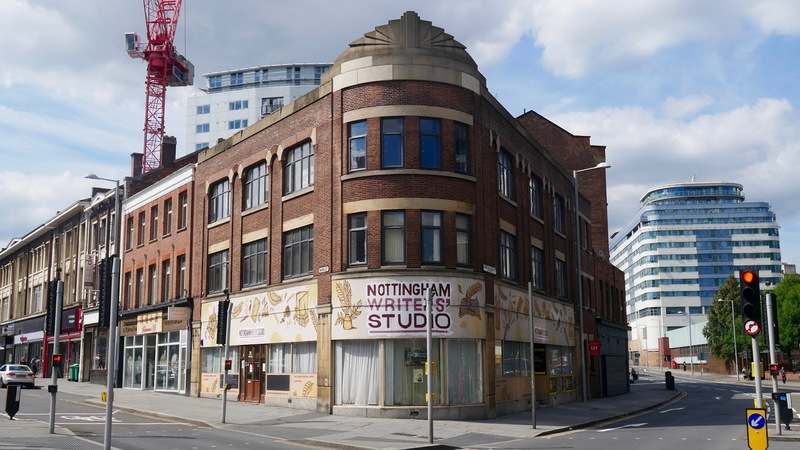 This is a former meeting place of Nottingham Writers’ Club whose former members include Helen Cresswell (1934-2005), author of Moondial. 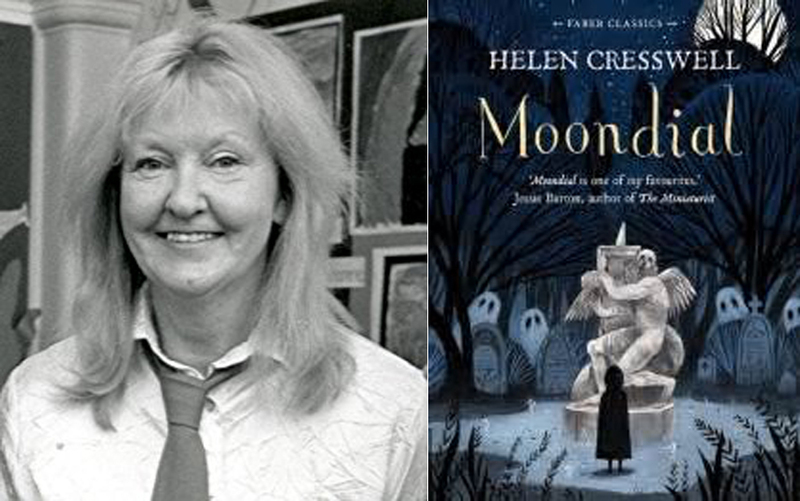 Cresswell penned well over 100 stories for children. She created the character Lizzie Dripping and adapted the stories for a hit BBC TV drama. 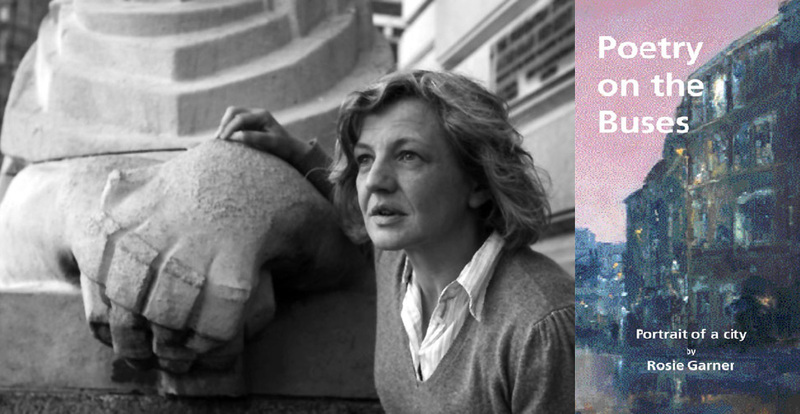 Of all her books The Winter of the Birds (1976) is said to have been her personal favourite. 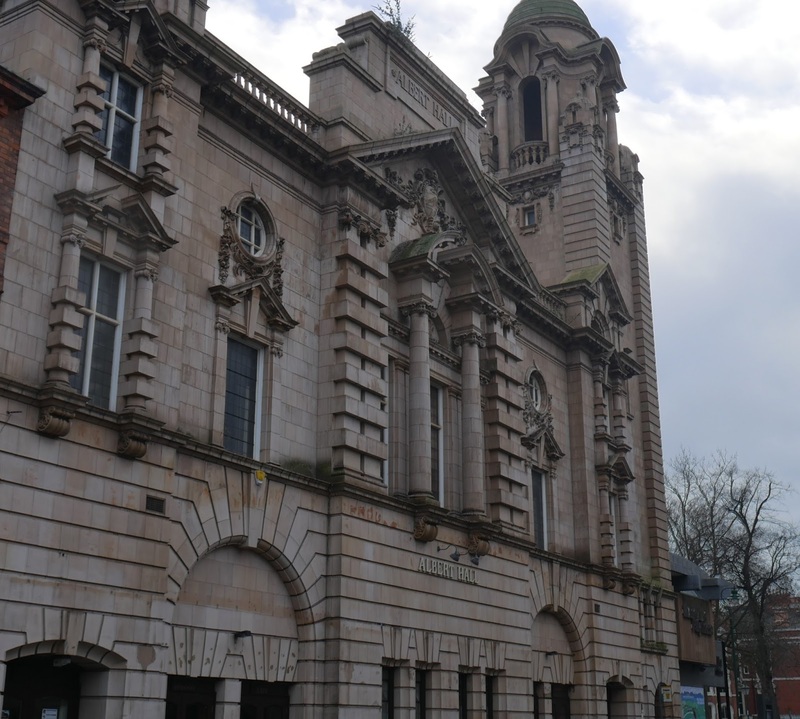 Tours of the historic library can be booked. 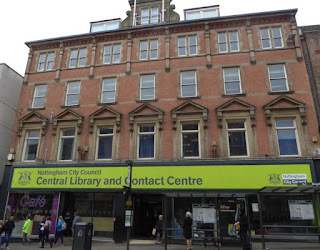 A little farther on is Nottingham Central Library. Covering four floors this is the principal library of the East Midlands. 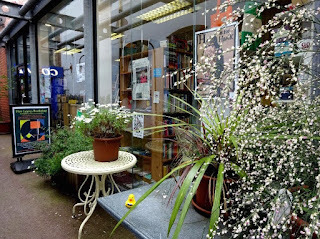 On the opposite side of the road is West End Arcade inside which is Books and Pieces, a second-hand bookshop owned by Jean Blacow. 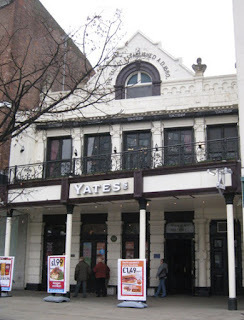 Move back towards the Market Square and you’ll pass Yates’ Wine Lodge on your left-hand side. 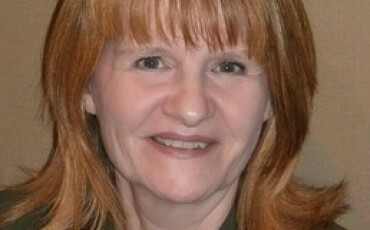 Joan Adeney Easdale (a.k.a. 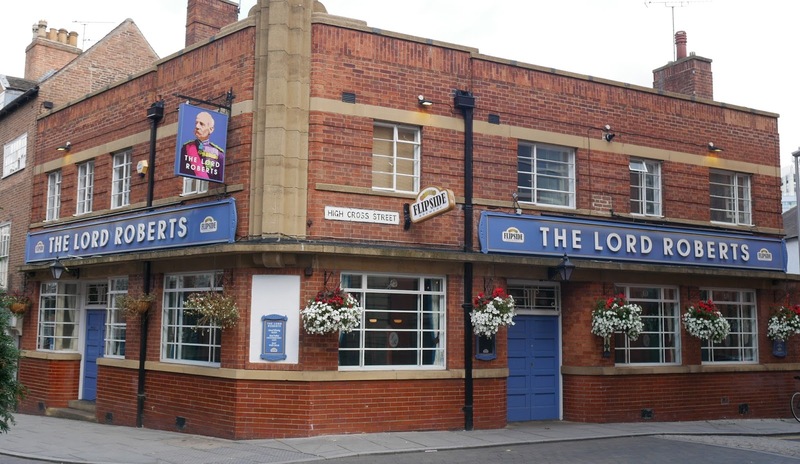 Sophie Curley) (1913-1998) used to drink here. 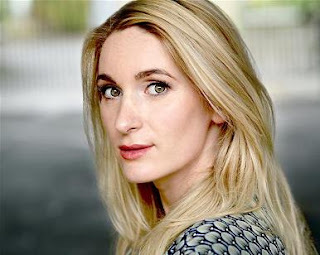 In the 1990s Sophie Curley was often to be found walking our streets, warming our benches and drinking in bars like Yates’. Thought to have become schizophrenic following a break down, Curley was a local eccentric. In her youth she had been destined for great things as a poet. 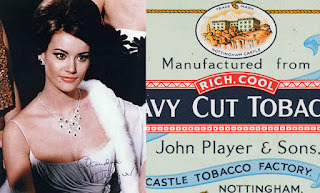 Back then she was called Joan Easdale. 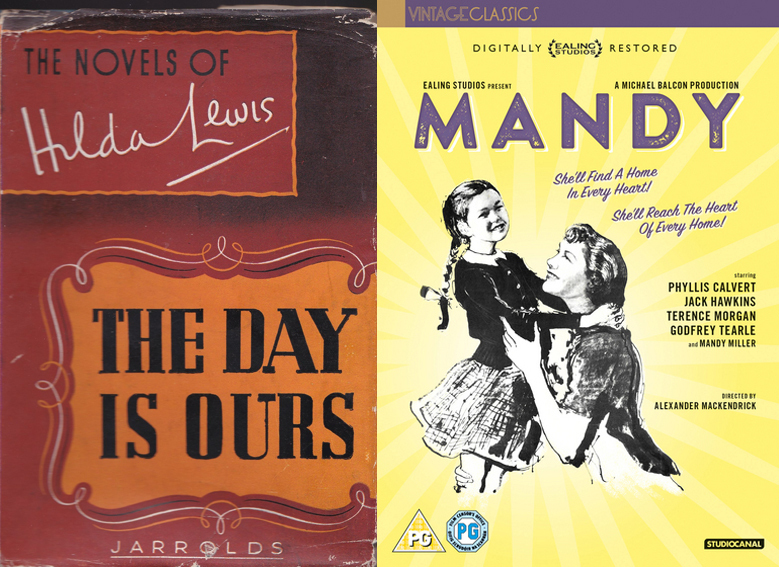 Virginia Woolf described her as her 'discovery' and published some of her works. 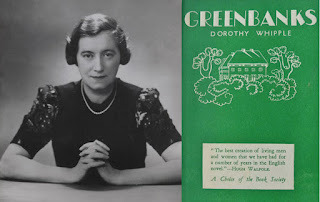 In the 1930s she wrote plays for the BBC. 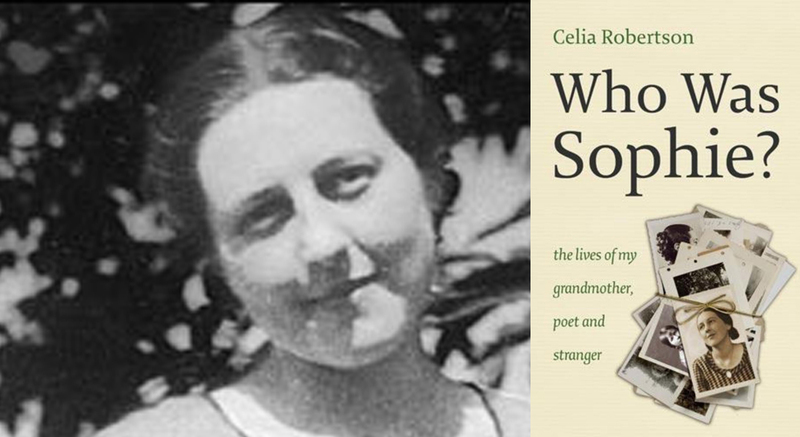 Her granddaughter Celia Robertson, wrote a book about her called Who Was Sophie? : The Two Lives of My Grandmother: Poet and Stranger (2008). 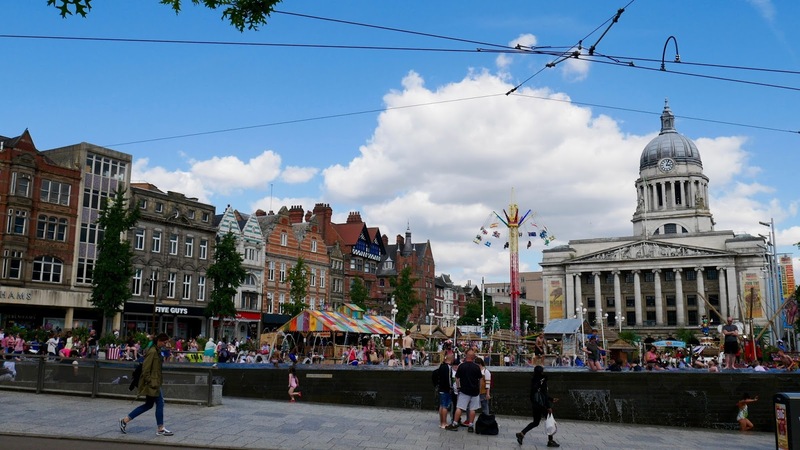 The final destination is the Old Market Square. 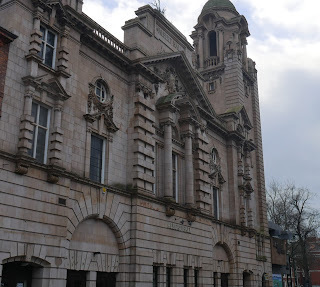 The most noticeable building here is the Council House with its stone lions. 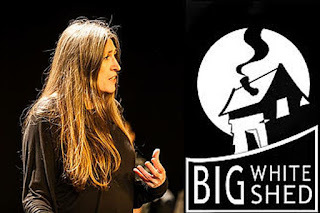 In 2010 Gwen Grant was a guest speaker here at the Council House for a commemoration event for the late Alan Sillitoe. Worksop born Grant’s book The Revolutionary’ Daughter (1990) is set at the time of the Miners' Strike. Her picture book Jonpanda (1992) won a Nottinghamshire Libraries Acorn Award. 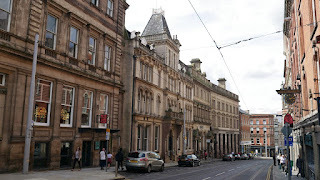 Note where Wetherspoons is, to the left as you look at the Council House. 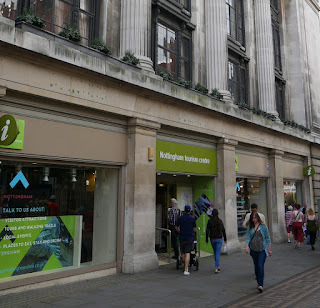 Next to the pub is a Nat West bank. 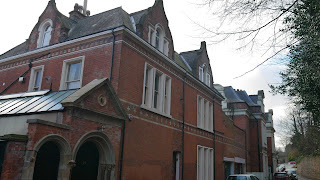 Mary Howitt (1799-1888) lived around here in a fine old mansion. 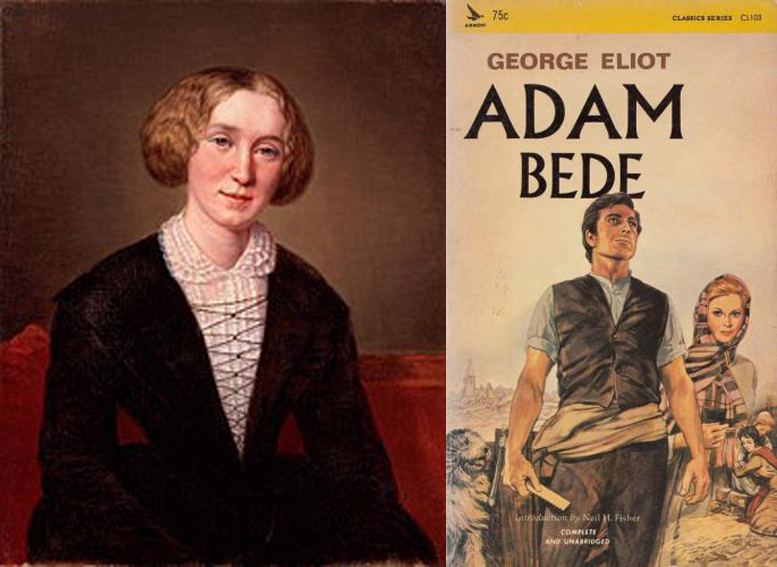 She considered herself ‘bound to no class’ and her writing was popular with both adults and children. 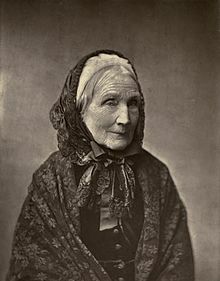 In addition to her own prose and verse she translated the fairytales of Hans Christian Anderson and the novels of the feminist reformer Fredrika Bremer. 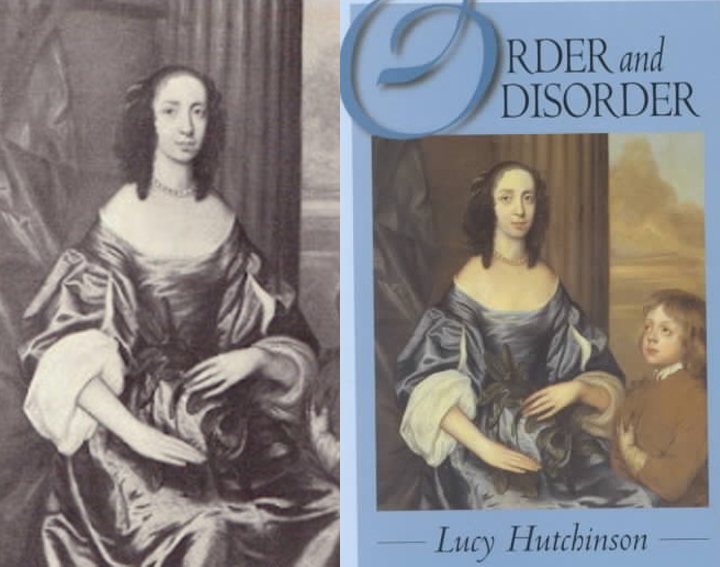 The first volume of her autobiography recounts a fascinating period in our history. Wordsworth called her writing elegant. She’s now best known for The Spider and the Fly. Dorothy Whipple (1892-1966), described by J B Priestly as the ‘Jane Austen of the 20th Century’ was once Nottingham’s best-known novelist and a big seller between the world wars. Most of Whipple’s novels are set in Nottinghamshire, or as it appears, ‘Trentham’. 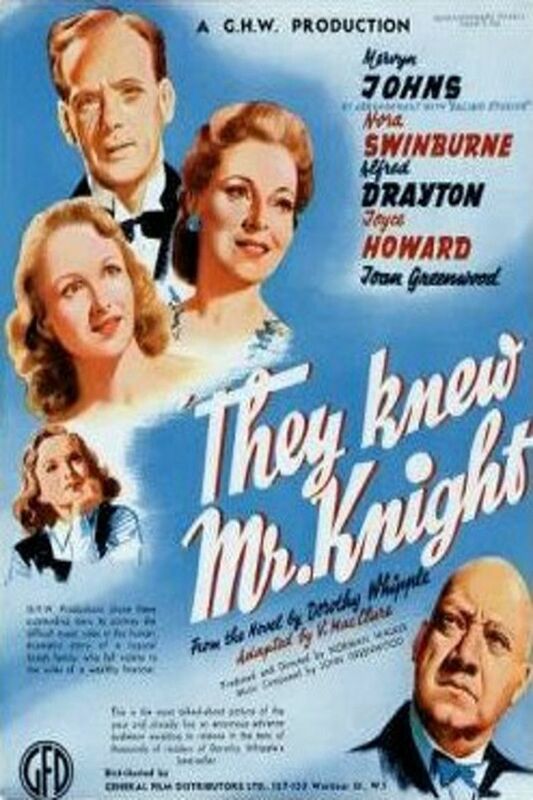 Her novel They Knew Mr Knight (1934) was made into a 1946 movie partly filmed in the Market Square. She once lived at 22 Albert Grove (between Derby Road and Ilkeston Road). 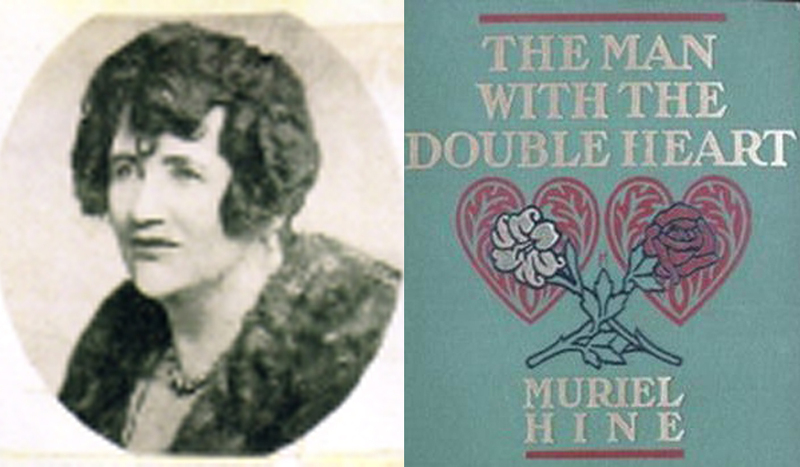 To supplement her family’s income Morris began to write children’s stories. 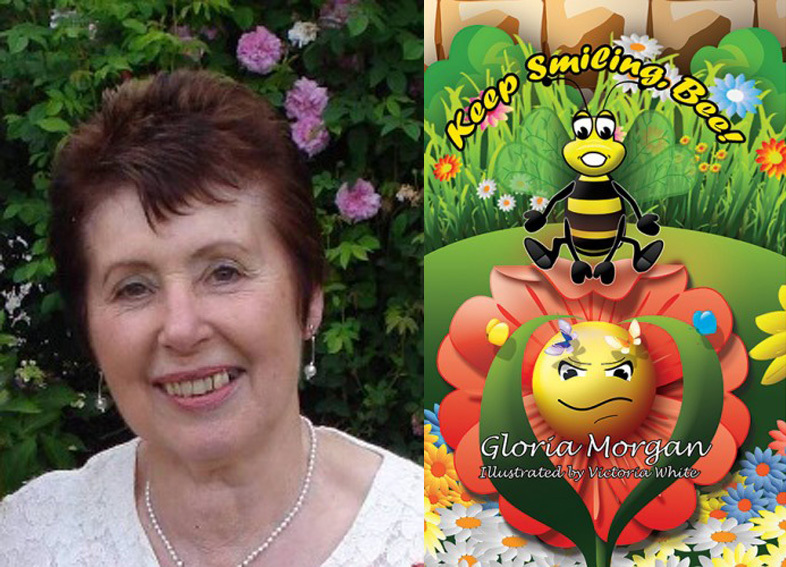 Her daughter followed suit and had her first story published aged nine. 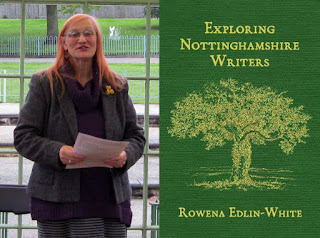 The older Morris often set her own stories in Nottinghamshire. She became involved in PEN during the 1930s, the human rights organisation originally for ‘Poets, Essayists and Novelists. 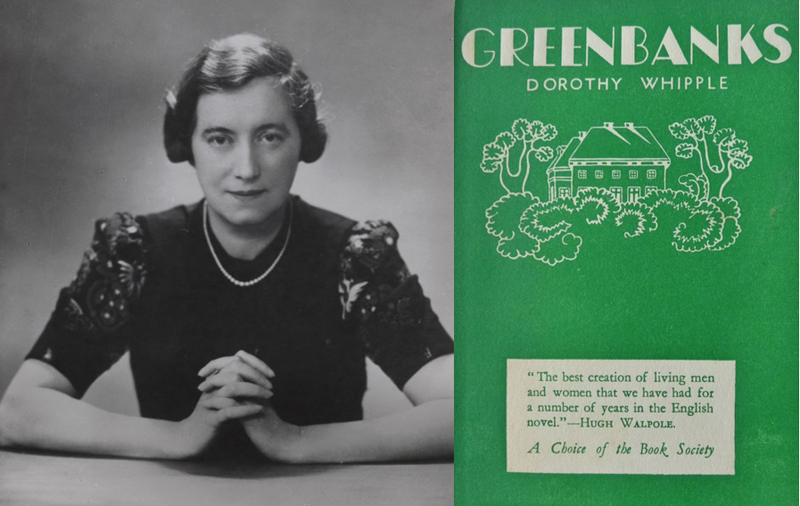 At her most prolific in the 1950s her books include The Vixen's Club (1951), The House by the Water (1957) and The Long Meadow (1958). At the Forest Road/Mapperley Road/Mansfield Road junction was Gallows Hill. In 1802 Mary Voce was hanged at Gallows Hill. 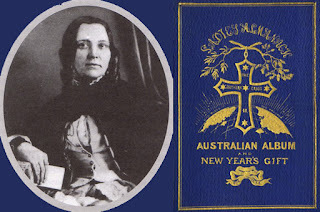 A Methodist woman called Elizabeth Evans visited Voce the day before her execution. Evans prayed with Voce through the night, heard her confession and accompanied her to the gallows the following day. Four decades later, Evans told this story to her niece, Mary Ann Evans (who later became the novelist George Eliot). 20 years after she heard the news, Eliot used it as inspiration for her first novel Adam Bede. From here you’ll notice the General Cemetery where you can find the graves of Ruth Bryan, Ann Gilbert, Anne Gilbert, Annie Matheson and Sarah Agnes Turk. 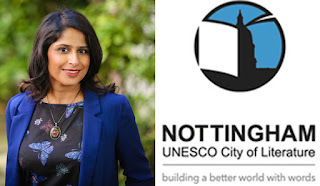 The Nottingham Women's History Group. A valuable resource and celebration of women's achievements in the city and beyond. Read Exploring Nottinghamshire Writers by Rowena Edlin-White. 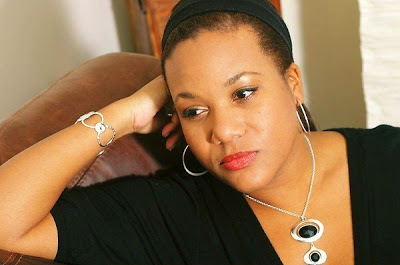 Many of our writers, past and present, famous and forgotten, are featured.